Please use the filters below to find resources that can help you. 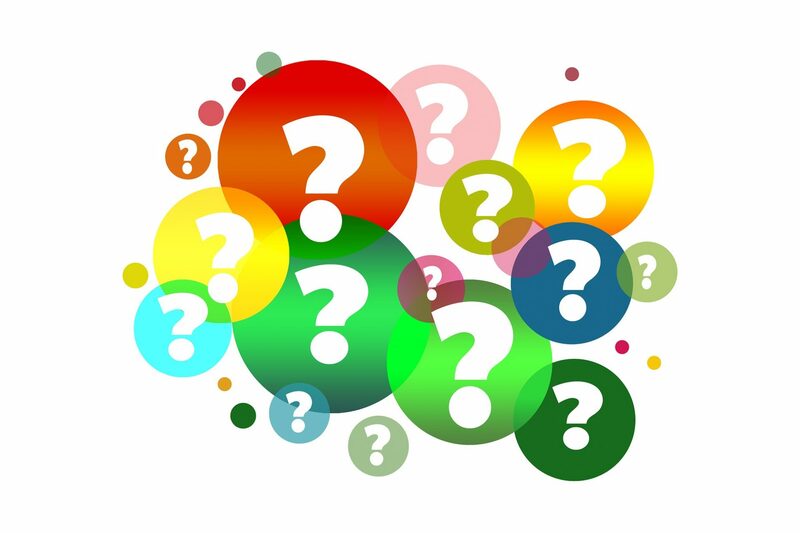 If you are just starting to investigate Talk for Writing, we would advise starting with an ‘Overview of the TfW process’, and ‘Key TfW reference’. For those charged with implementing Talk for Writing in your school, ‘TfW leadership’ might be useful. 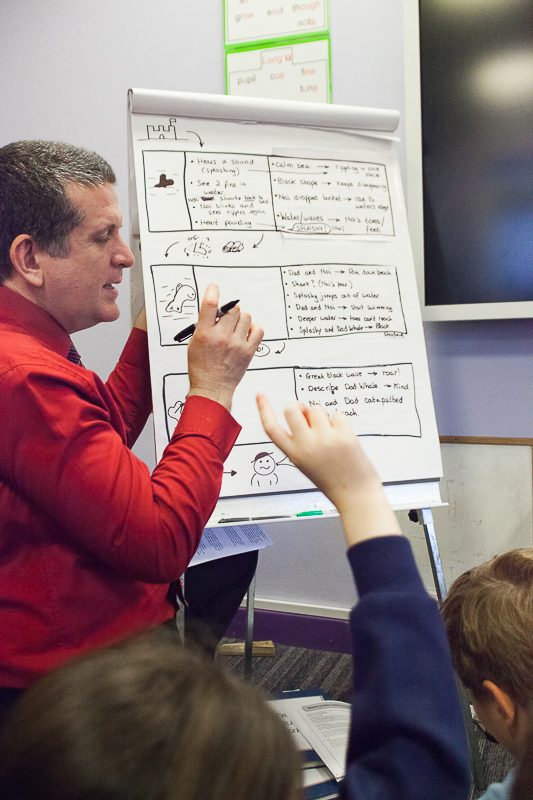 Teachers across the UK and overseas have told us that the Talk for Writing approach has transformed their schools. Filter by ‘Case study’ to read some of their stories. 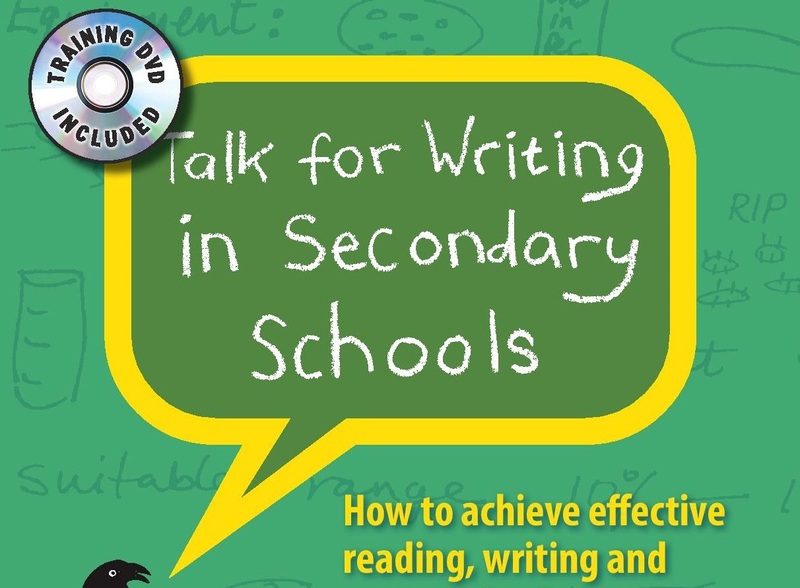 If you would like to share your own experience of Talk for Writing in your school, please email contact@talk4writing.com – we’d love to hear from you! To read about training projects undertaken by individual schools or clusters alongside a Talk for Writing trainer or training team, filter by ‘Project’. Excluding the links to textbooks, all resources are FREE to use in your teaching. However, we do request that resources are not used for profit and that the source of the resources is always accredited. 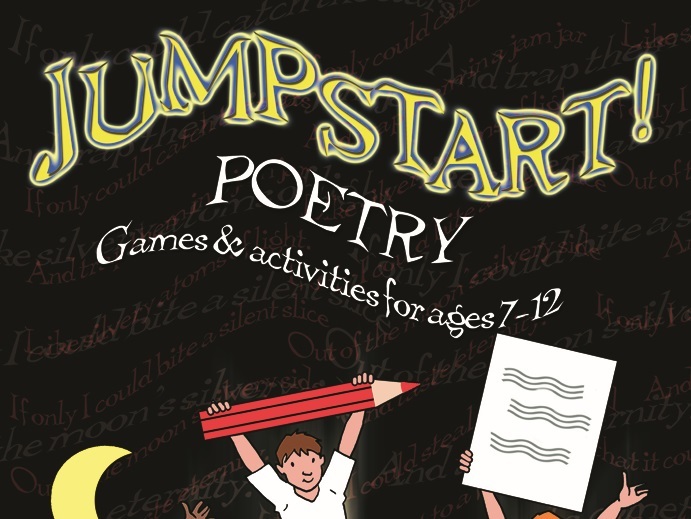 Jumpstart Poetry is about involving children as creative writers through writing poems. 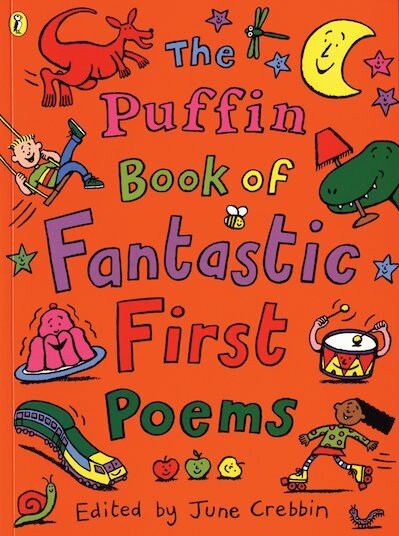 The book contains a bank of ideas that can be drawn upon when teaching poetry but also at other times to provide a source for creative writing that children relish. 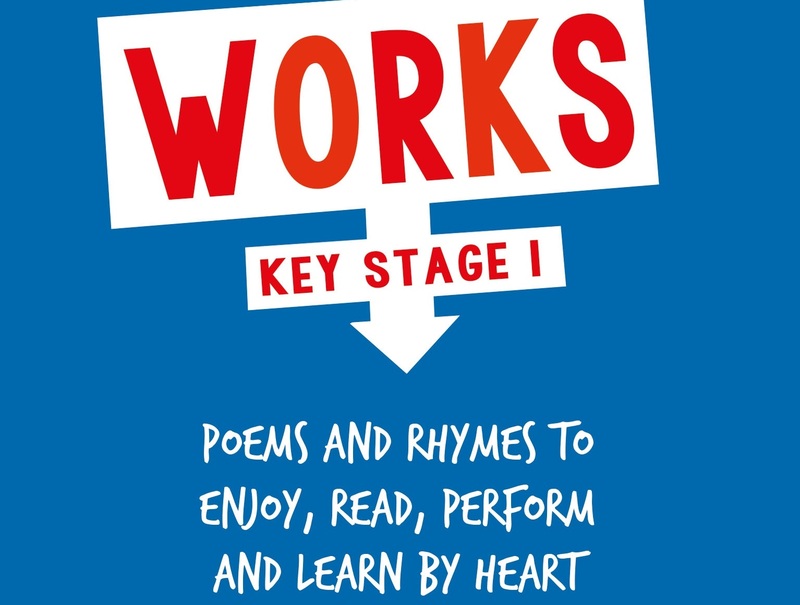 There are more than 100 quick warm-ups to fire the brain into a creative mood and to 'jumpstart' reading, writing and performing poetry in any Key Stage 1 or 2 classroom. 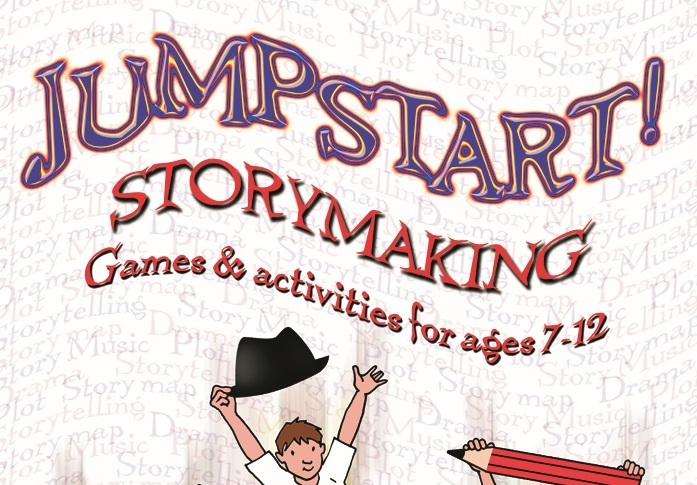 Practical, easy-to-do and vastly entertaining, this new `jumpstarts' will appeal to busy teachers in any primary classroom. 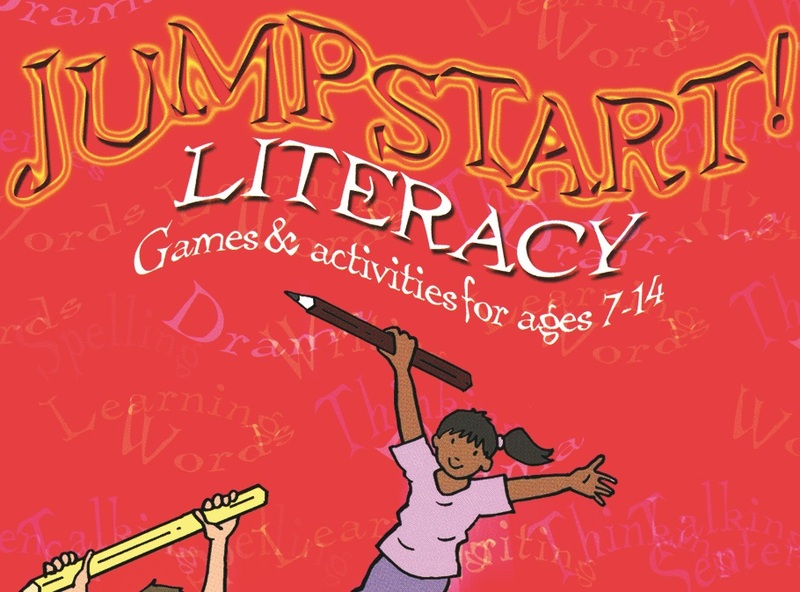 Jumpstart Literacy is a collection of simple to use, fun, multi-sensory games and creative lesson starters will 'jumpstart' pupils' enthusiasm for literacy learning. 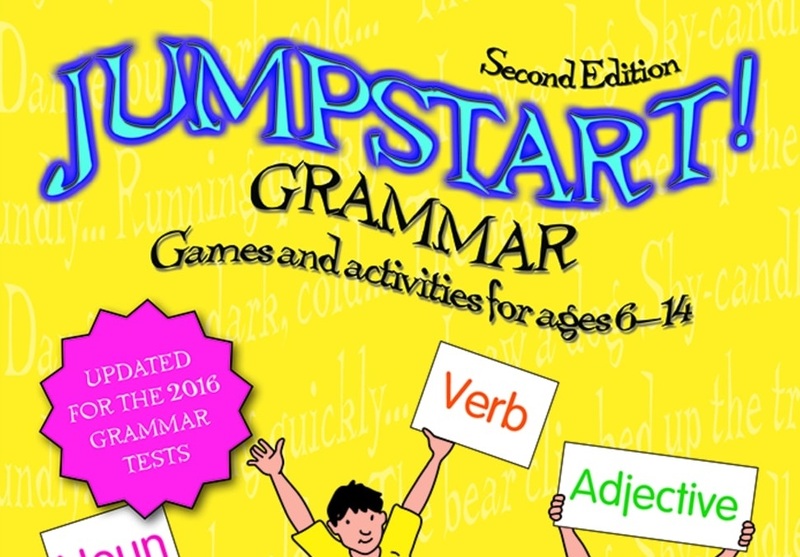 The 'jumpstarts' cover: Warming up the word - spelling and word games; syntactic gymnastics - creating sentences and written style; games to stimulate - talk, drama and writing; and quickfire whiteboard starters - to stimulate the imagination. 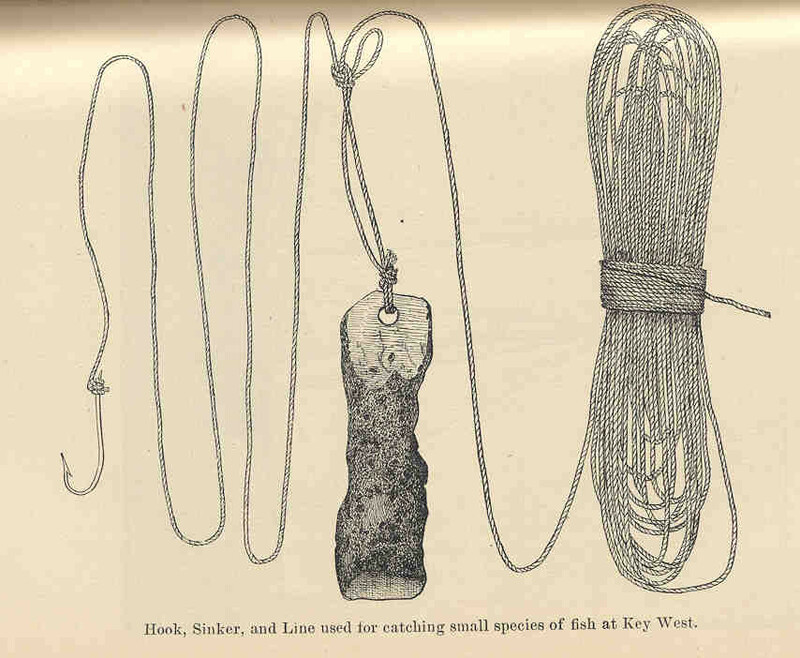 For use at Key Stages 2 & 3 (ages 7-14). Stuck for a rhyme or don't know how to spell a word? 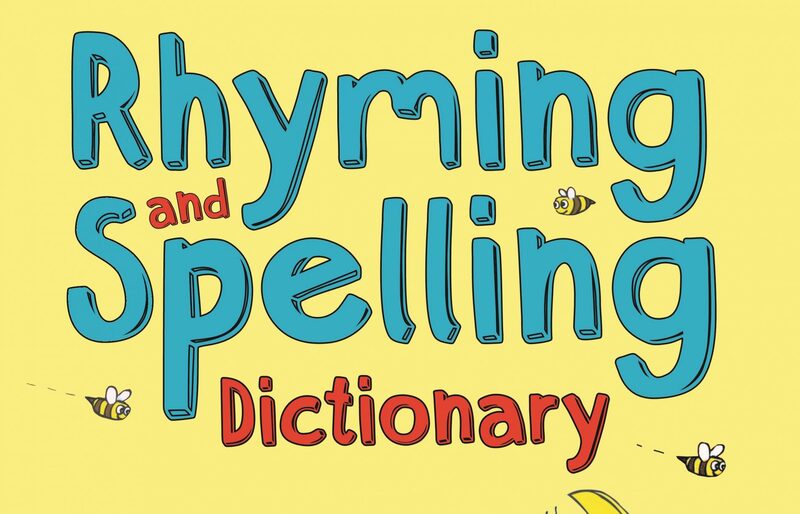 Look inside the fabulous Rhyming and Spelling Dictionary for all the help you need: nearly ten thousand rhyming words and phrases; more than fifty original poems with fantastic illustrations to inspire your own rhymes; practical advice on writing poetry; great rhyming games to play. 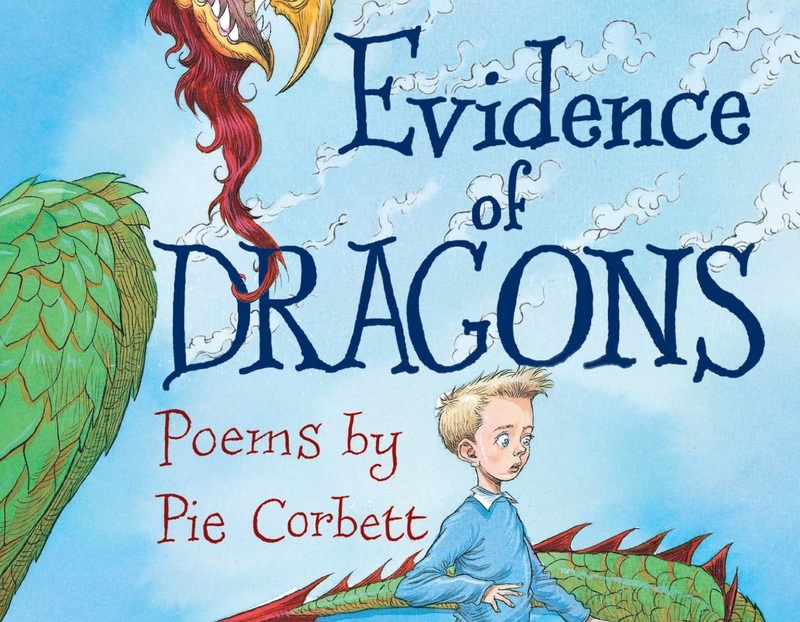 Evidence of Dragons brings together Pie Corbett's brilliant poems for the very first time. 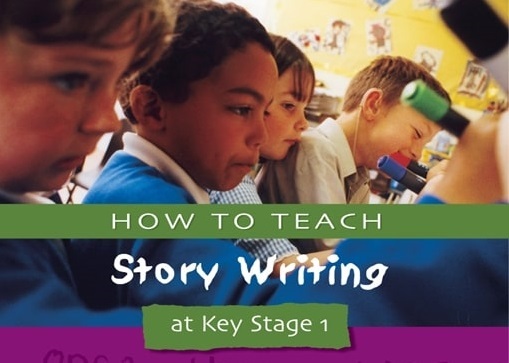 This manual for teachers demonstrates practical ways of teaching story writing in a dynamic, creative and imaginative way, related to the Key Stage 1 National Literacy Framework. 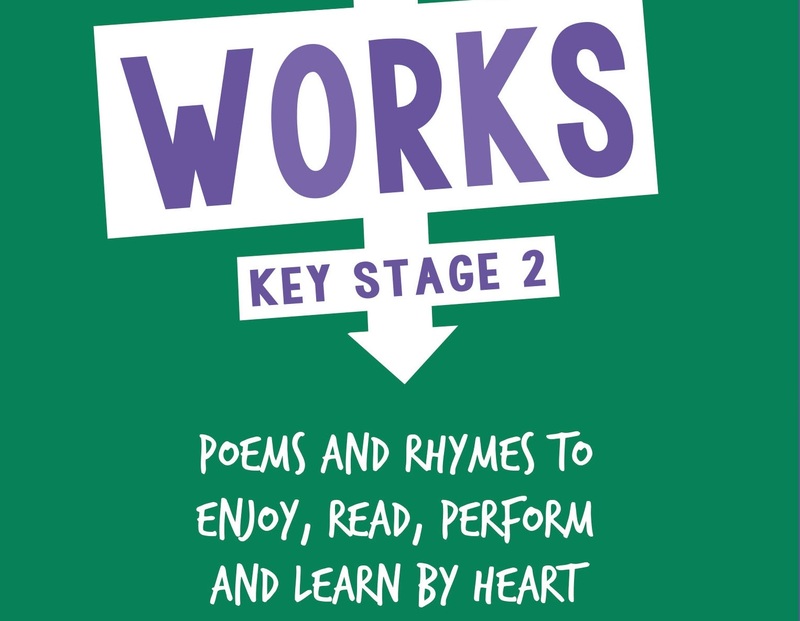 The book presents a series of creative story workshops, based on the writer's own experience both as a teacher and poet running workshops in schools. 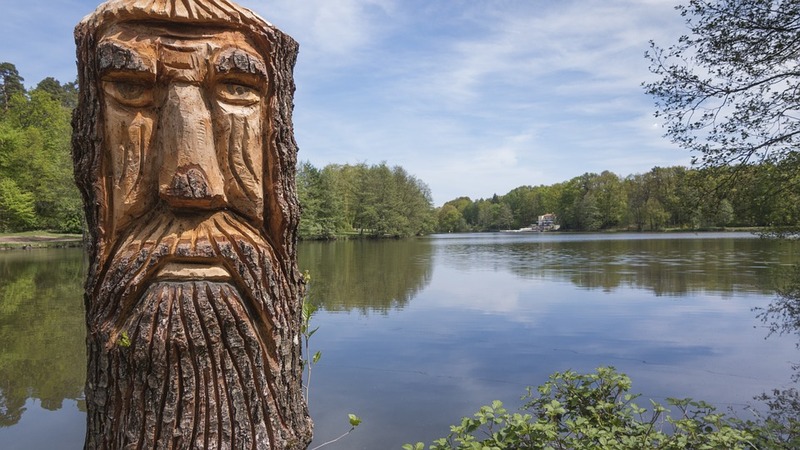 The workshops show how you can grow the roots of the story writing through storytelling and reading, and demonstrate the importance of learning a few well-known tales. Model stories are provided for storytelling, and there are ideas for drama and role play. 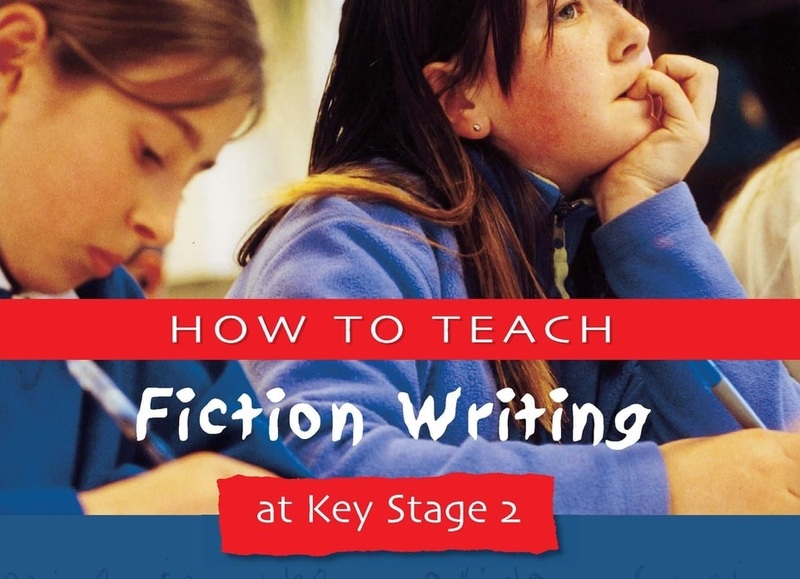 How to Teach Fiction Writing at Key Stage 2 is a practical manual designed to help teachers of junior classes to focus on the key aspects of developing children's story-writing. The book presents a series of essential writing workshops full of creative ideas and fun activities. It also offers a range of advice including how to set up and run an effective workshop and how to monitor NLS links. 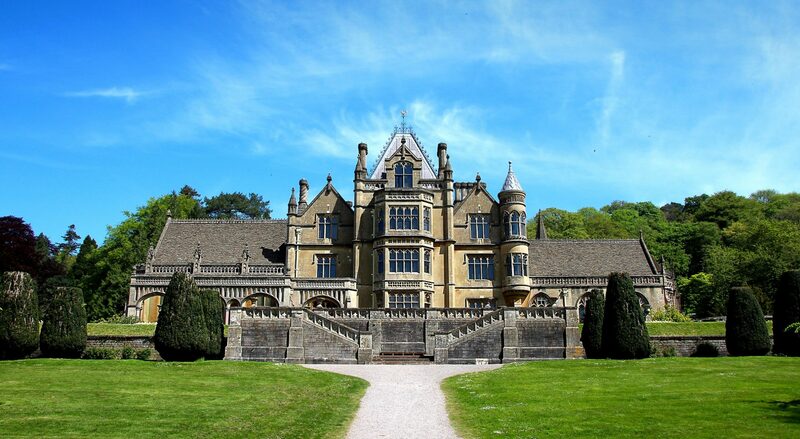 Workshops focus on: capturing stories; characterisation; creating settings; skilful paragraphing; writing in a variety of genres from myths and fables to adventures and science fiction. 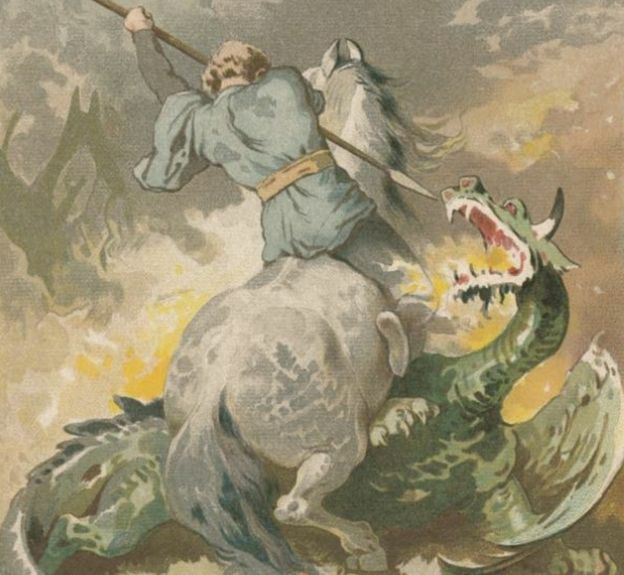 Was this the biggest Talk for Writing story retelling ever? 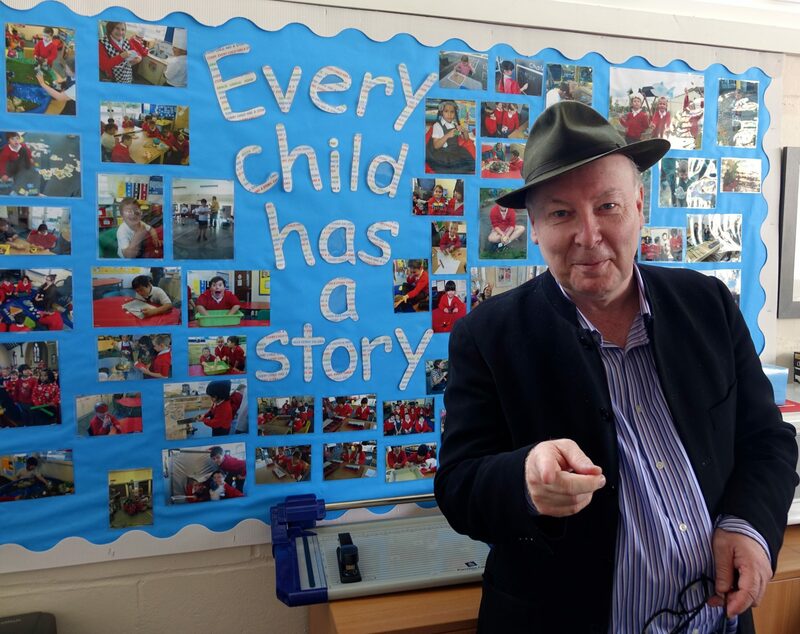 At Warren Road School in Orpington, the whole school of over 800 pupils retold a story. You can watch the video of it here and find more info about the school and Jamie Thomas who leads Talk for Writing training at the school on the Talk for Writing Training Centres webpage. 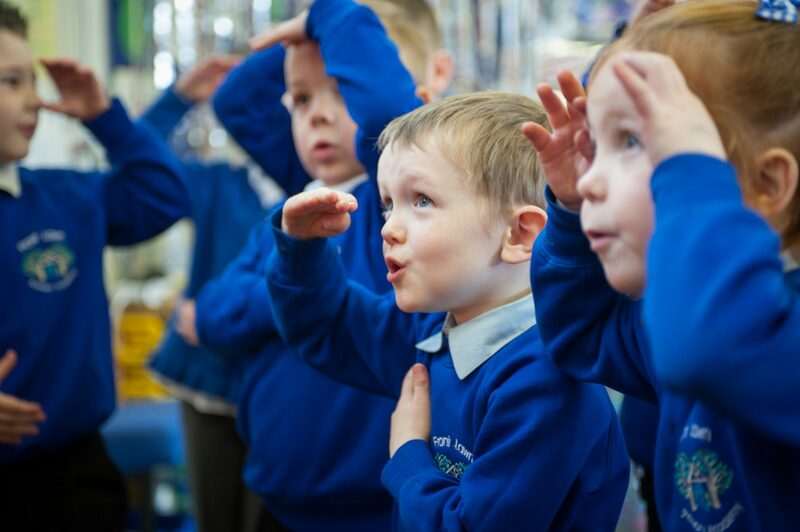 Beat Goes On run Body Percussion with Literacy workshops, providing a new kinaesthetic creative route that allows for simultaneous development of literacy & musical skills. Download free percussion resources for developing rhythm here. Beat Goes On run Body Percussion with Literacy workshops. 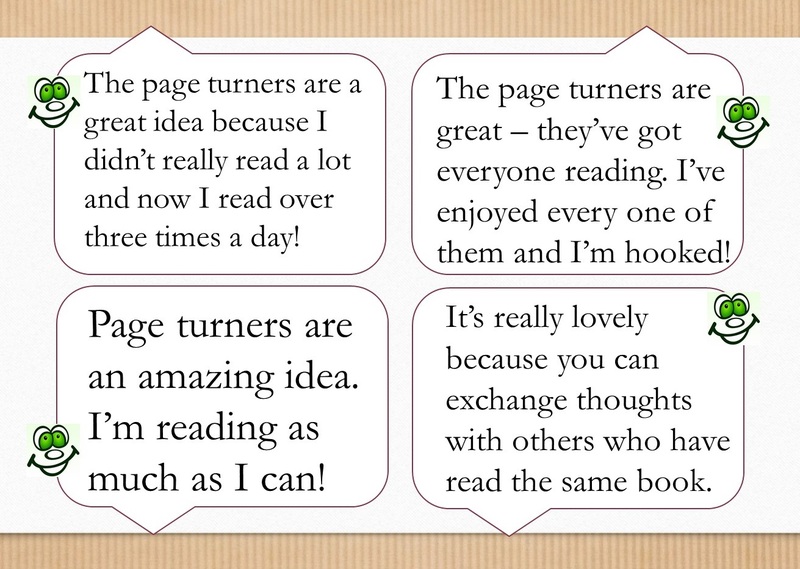 These are "a fun, creative approach to literacy based on our work with Pie Corbett. Using either set texts or children's own written work, the workshop explores the rhythmic elements of the text. Together, we discuss pulse, emotion and how the words flow when spoken out loud. 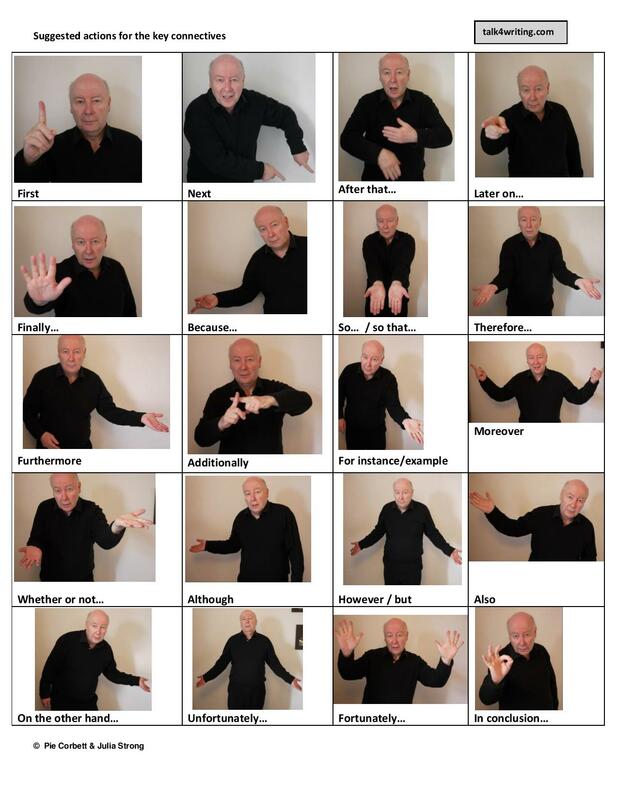 We then take these creative decision and apply them to body percussion, providing a new kinaesthetic creative route that allows for simultaneous development of literacy & musical skills." 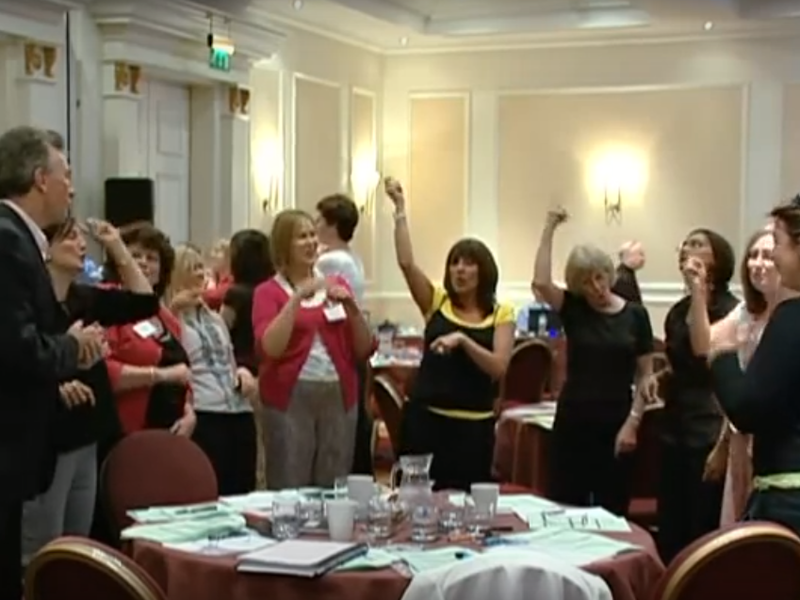 "At Beat Goes On, we are often asked to use body percussion as a vehicle for cross-curricular teaching. It's easy to see why - music can present familiar topics in a new and memorable way. 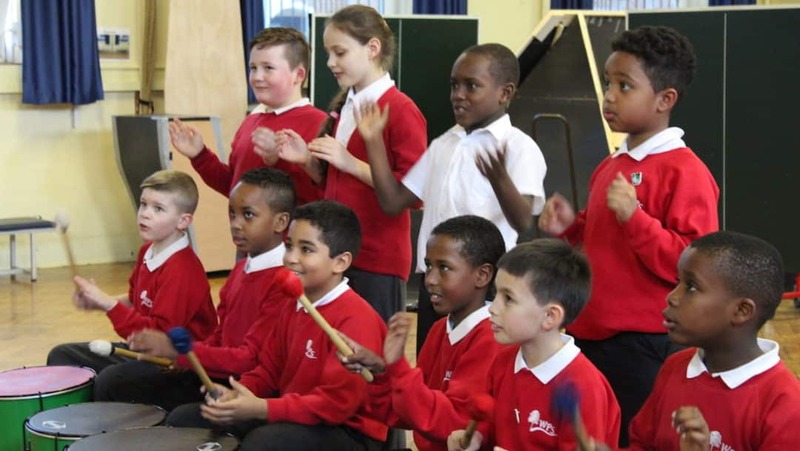 This improves the chance that children will retain both the subject matter and the musical ideas...So it makes sense that schools are looking to combine music with literacy. The Beat Goes On team is consistently impressed with Pie Corbett's work in this area, so we got in touch with him to see what gems of cross-curricular wisdom he could share." In the summer 2016 newsletter we ran a competition looking for stories of no more than 400 words that could be used as model texts for Talk for Writing. We received a number of entries, four of which stood out as prize winners. 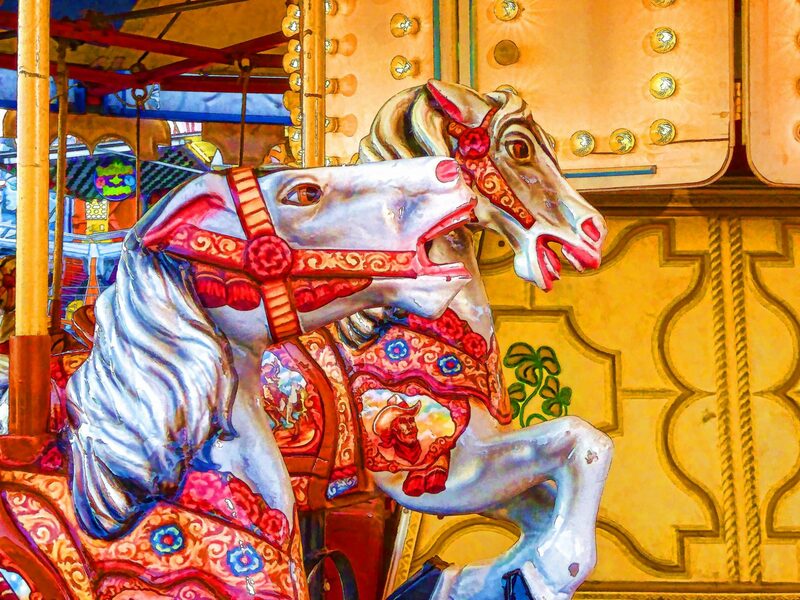 Each of these stories are downloadable below for you to use in class. Congratulations to Chris Farnen, Richard Johnson, Jackie Livermore and Heidi Simpson on their winning entries! 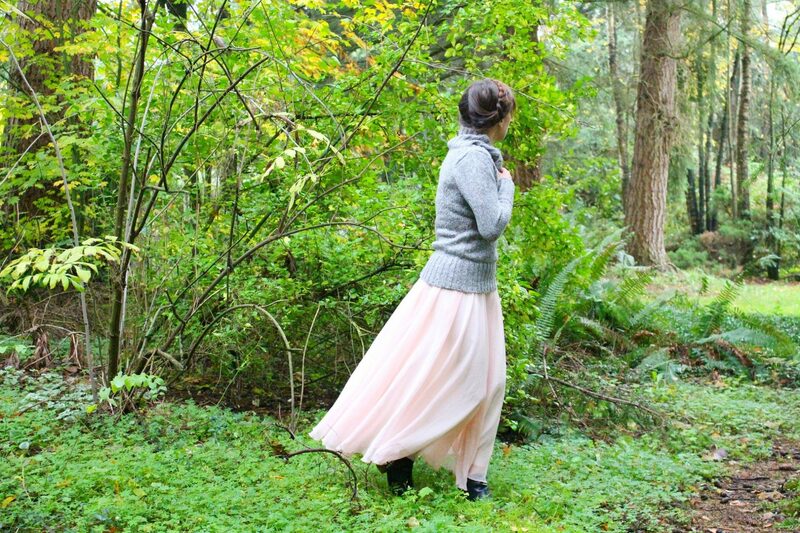 This one is Through the Forest by Heidi Simpson. Suitable for a Year 2 class. In the summer 2016 newsletter we ran a competition looking for stories of no more than 400 words that could be used as model texts for Talk for Writing. We received a number of entries, four of which stood out as prize winners. Each of these stories are downloadable below for you to use in class. Congratulations to Chris Farnen, Richard Johnson, Jackie Livermore and Heidi Simpson on their winning entries! 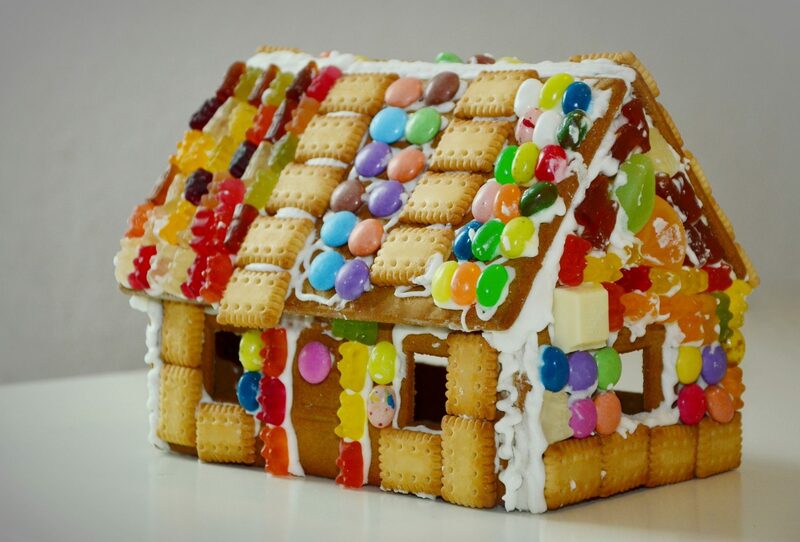 This one is The Unusual House by Jackie Livermore. Suitable for a Year 4 class. In the summer 2016 newsletter we ran a competition looking for stories of no more than 400 words that could be used as model texts for Talk for Writing. We received a number of entries, four of which stood out as prize winners. 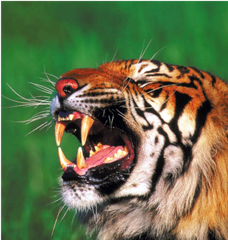 Each of these stories are downloadable below for you to use in class. Congratulations to Chris Farnen, Richard Johnson, Jackie Livermore and Heidi Simpson on their winning entries! This one is The Legend of Bowerman's Nose by Richard Johnson. Suitable for a Year 5/6 class. 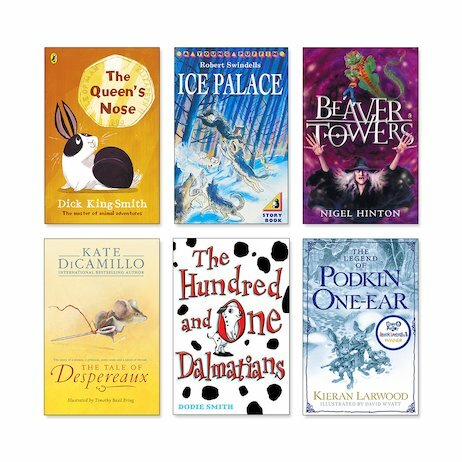 A new collection of exciting reads by top authors, specially selected by literacy expert Pie Corbett for sharing with your class. 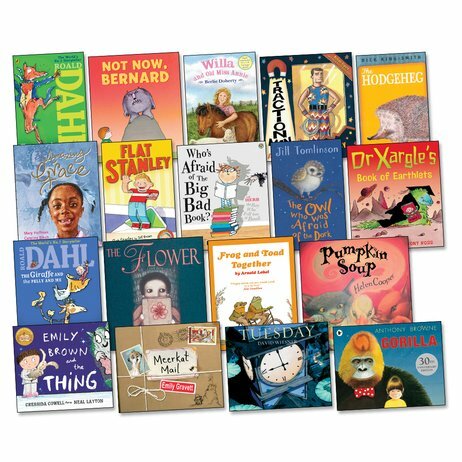 These best-loved books practise the core reading habits developed in Pie Corbett's Reading Spine, while promoting independent reading and reading for pleasure. Engage children with a stimulating read-aloud programme; build fluency while promoting independent reading and reading for pleasure; practise the reading habits developed through the core books in Pie Corbett's Reading Spine; and provide a model for independent reading as well as fluent expressive class reading for Years 3-6. 'Imagine a primary school where, over seven or eight years, children are read to, enjoy, discuss and work with a core of around 80 books. These 'essential reads' would be a store of classics, creating a living library inside a child's mind...Schools that have a reading spine build a common bank of stories that bind the community together' - Pie Corbett. 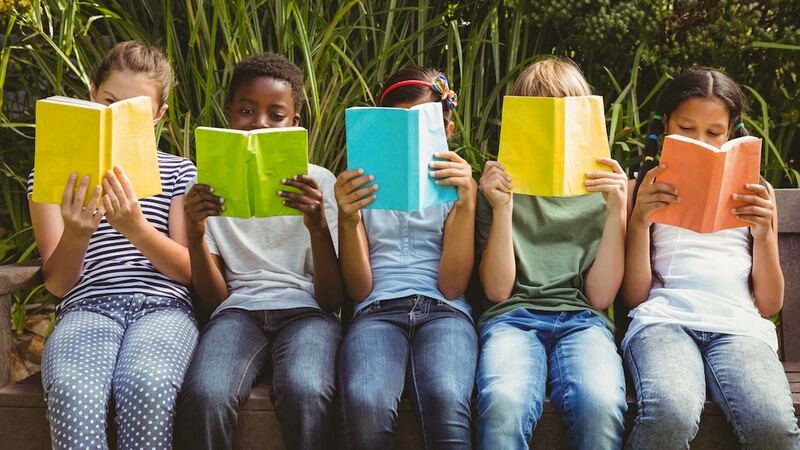 Bring reading to life with a classic read aloud programme; foster a love of reading with the best-loved books for Nursery to Year 9; and draw on core books to deepen comprehension and teach drama and writing. 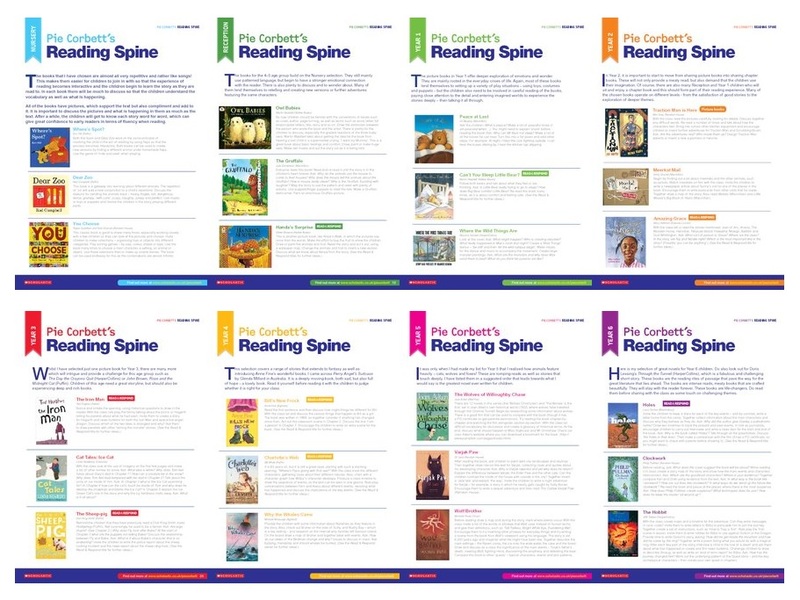 These free downloadable guides provide invaluable support for teachers using Pie Corbett's Reading Spine to teach comprehension, drama and writing. Guides available for Nursery, Reception, Year 1, Year 2, Year 3, Year 4, Year 5 and Year 6. This key text is the long-awaited guide to how to teach children to love writing stories through telling stories. It takes you step-by-step through the Talk for Writing process so the children move from imitation to innovation to independent application. The book contains 2 DVDs to illustrate all stages of the process plus detailed training notes to help you use the resource across a school. In addition, there is a wealth of handouts to help you create your own units. Pie Corbett provides some hints and tips to help your class write a shape or observation poem. This video is taken from the Igniting Writing 'Waterworlds' interactive whiteboard CD-ROM. This is a guide for teachers on how to encourage pupils to write in a way that would 'hook' a reader. Talk for Writing expert Alison Cooper identifies the questions to address when planning for and leading an effective Talk for Writing project, and how to keep up the momentum in implementing the TfW approach in your school: "So, the day's over and everyone is buzzing about Talk for Writing and eager to get started but, if Talk for Writing is going to have a real impact on children's writing outcomes then it needs strong and committed leadership and the following suggestions may help you to plan for this." In this article, Talk for Writing expert Maria Richards explains how Pinterest can be a useful tool for managing and sharing resources. Pinterest is a virtual pin board that allows you to 'pin' useful resources, activities, ideas and sites from the web. 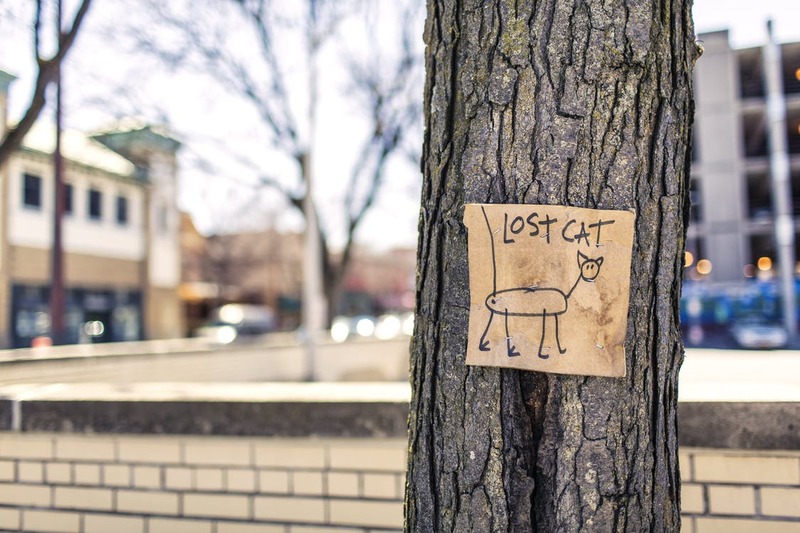 The beauty of Pinterest, compared to any other way to file and manage online resources, is the ability to categorise your finds and file them in a simple, visual way, using an image and a short description. You can also find resources for just about anything due to its brilliant search facility. 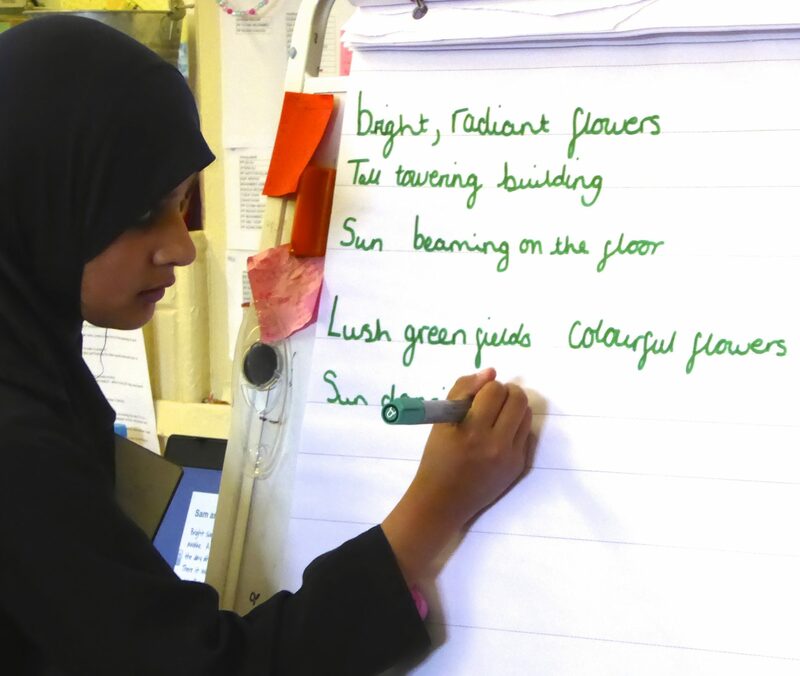 In this free four-page resource written by Pie Corbett, Pie explains how to build a bank of poems to use with children at KS1. 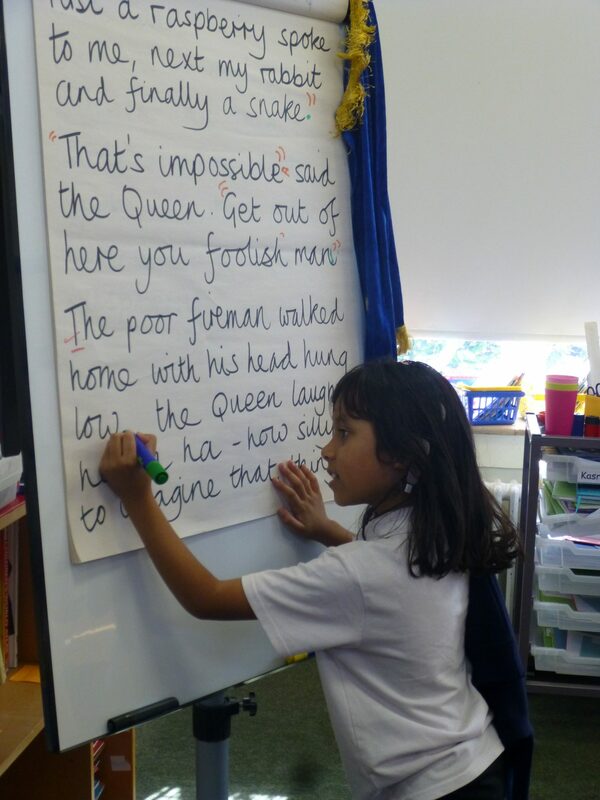 In this two-page document written by Pie Corbett, Pie explains how it can be useful for children to use writing toolkits when constructing a narrative. Pie focuses on using writing toolkits in these areas: 1. Characterisation and dialogue; 2. Description - people, places, objects, creatures; 3. Dilemma - suspense and action; and 4. Crafting the opening and ending. This document is a connectives phrase bank for children to use in a variety of different contexts. It is referenced in the 'Year-on-year progression' document. Not a linguist? With iLanguages - not a problem! 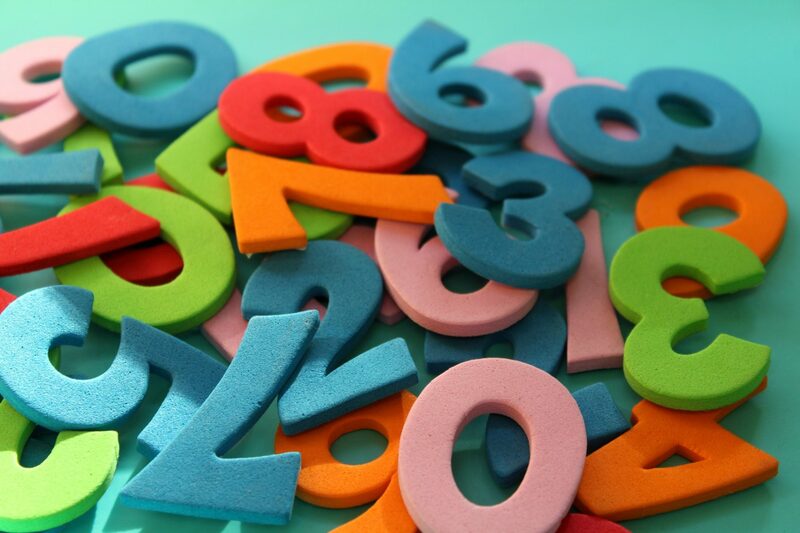 Primary schools cannot simply rely on previous language schemes in the hope that learners will make the progress required. The new programme of study is far more demanding and provision needs to ensure that learners need to be 'independent and effective communicators'. iLanguages has taken up the baton to meet the challenge of the forthcoming compulsory primary language curriculum by providing teachers with a highly innovative and engaging scheme which has been designed to ensure that teachers with little knowledge or confidence of French and Spanish are able to effectively deliver language lessons. When Apple first introduced the iPad, it was as a consumer tablet for the masses - not as an educational tool. However, its versatility, functionality and ease of use has meant that it has very quickly developed into a essential tool for the classroom practitioner. This article will explore a number of apps that lend themselves to the Talk for Writing process and ethos. 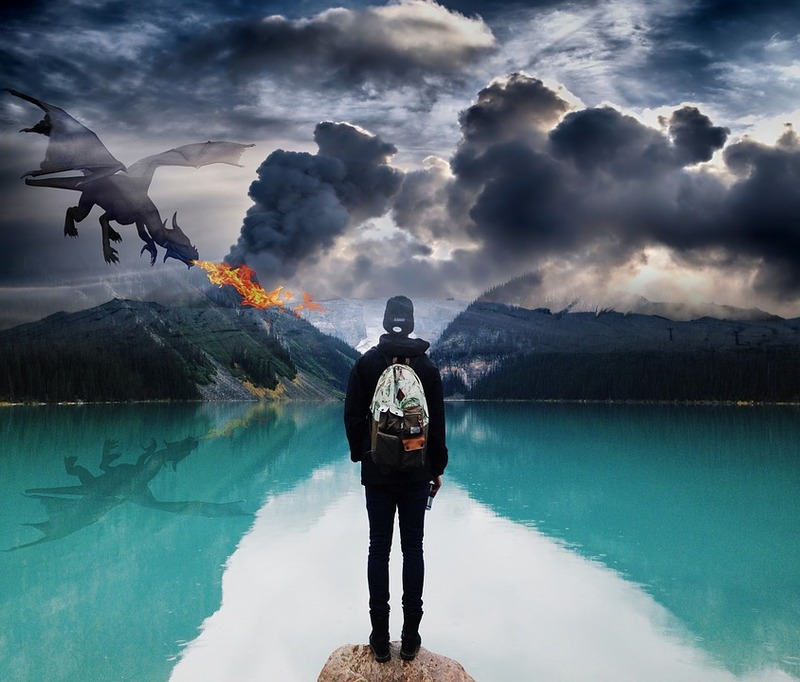 Focusing on the Top 5 (according to TfW expert Maria Richards) in a number of categories, these apps will hopefully get you started on your iPad and Talk for Writing journey! 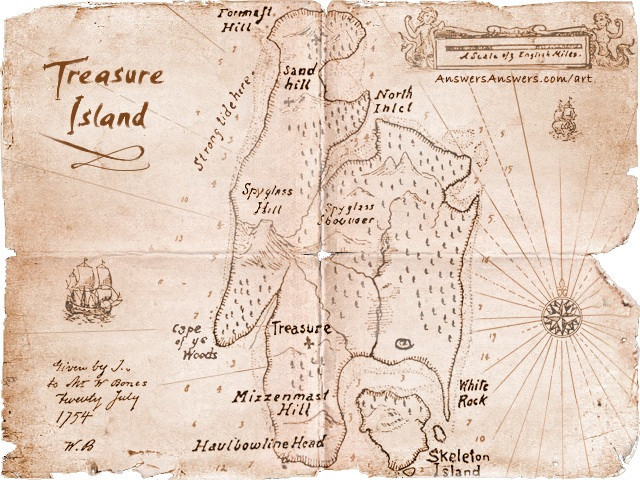 This document contains suggestions for 'jumpstart' imitation games - activities to stimulate children's interest in and deepen their understanding of a story. 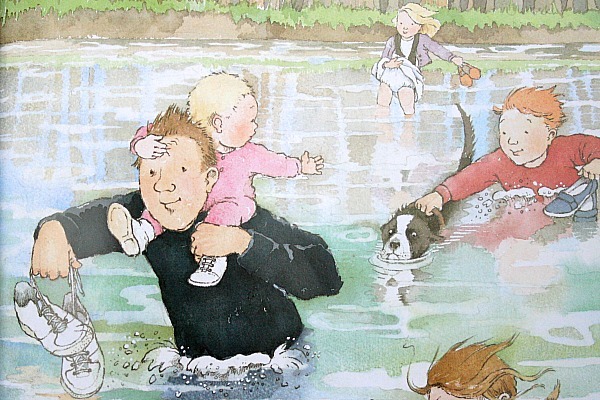 In this document, Talk for Writing expert Carol Satterthwaite provides a few recommendations of stories to use with Nursery and KS1 groups, along with her reasons for selection and some ideas for how these texts could be used in class. 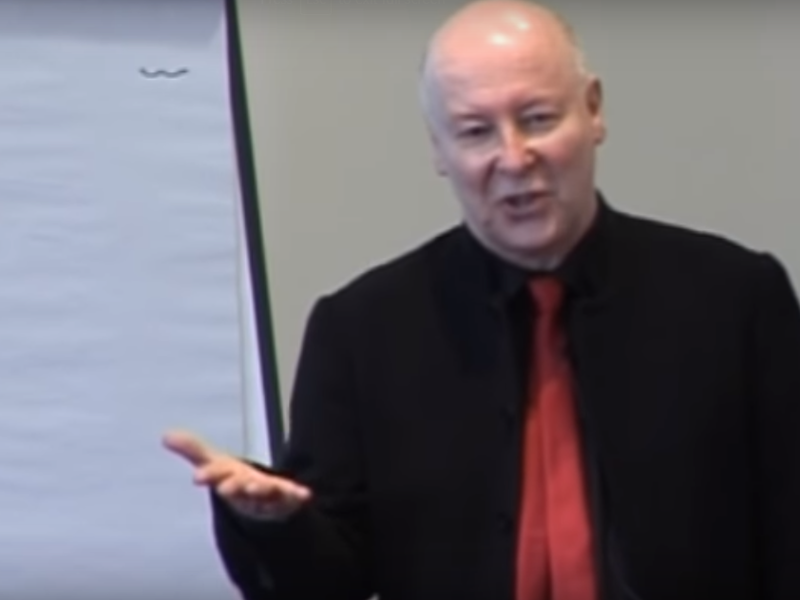 In this document Pie Corbett explains the concept of reading as a writer and the processes involved in teaching children to understand and use different styles of writing. The document also includes toolkits for use in class. In this document Pie lists an A-Z of ideas for how a poem could be used in class. James Walker from Knowle Park Primary School in Bristol shares his tips on what he has found effective when writing blogs with his class. 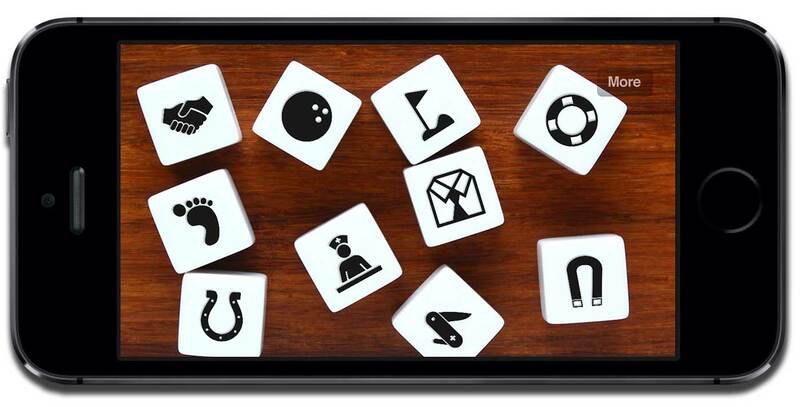 Word dominoes can be an excellent way of consolidating the pupils' confidence with using the key vocabulary of any unit and is great for grammatical terms. 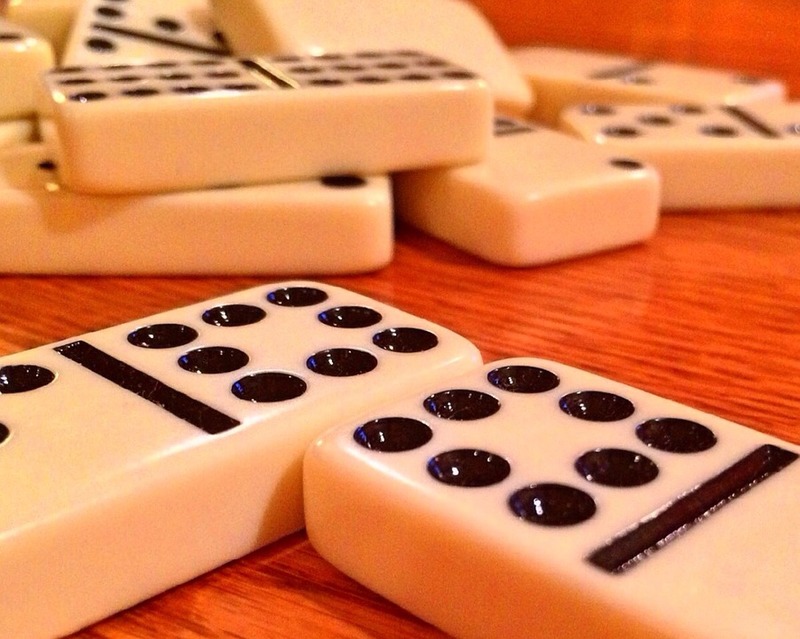 The aim of this game is to be able to link all the dominoes in a line. Grammar tests are becoming increasingly difficult with more emphasis on the naming of obscure parts, for example the past progressive. Pie and Julia will keep an eye out and add additional resources to this page to provide fun activities for any of the additional terms if they haven't already been well covered by Jumpstart! Grammar. Matching activities are much more fun and more effective than grammar exercises because they involve the pupils in discussing the best fit. This document contains examples of matching grammar activities to embed understanding once classes have been taught the features referred to. Grammar tests are becoming increasingly difficult with more emphasis on the naming of obscure parts, for example the past progressive. Pie and Julia will keep an eye out and add additional resources to this page to provide fun activities for any of the additional terms if they haven't already been well covered by Jumpstart! Grammar. The Text Ingredients Game is a great game for building older pupils' confidence in understanding the typical key ingredients of the different text types. It can be adapted to reflect the terminology that your class should be familiar with. Grammar tests are becoming increasingly difficult with more emphasis on the naming of obscure parts, for example the past progressive. Pie and Julia will keep an eye out and add additional resources to this page to provide fun activities for any of the additional terms if they haven't already been well covered by Jumpstart! Grammar. This document is a downloadable printable sheet of punctuation sorting cards. It is referenced in the Jumpstart! Grammar book. Grammar tests are becoming increasingly difficult with more emphasis on the naming of obscure parts, for example the past progressive. Pie and Julia will keep an eye out and add additional resources to this page to provide fun activities for any of the additional terms if they haven't already been well covered by Jumpstart! Grammar. These files contain guidance on teaching the three stages of the Talk for Writing process (Imitation, Innovation and Invention/Independent Application) at the Foundation Stage. Each download is one-side of A4 that takes you through the key processes and key points at each stage. How the 3 stages of the Talk for Writing approach puts formative assessment at the heart of your teaching. 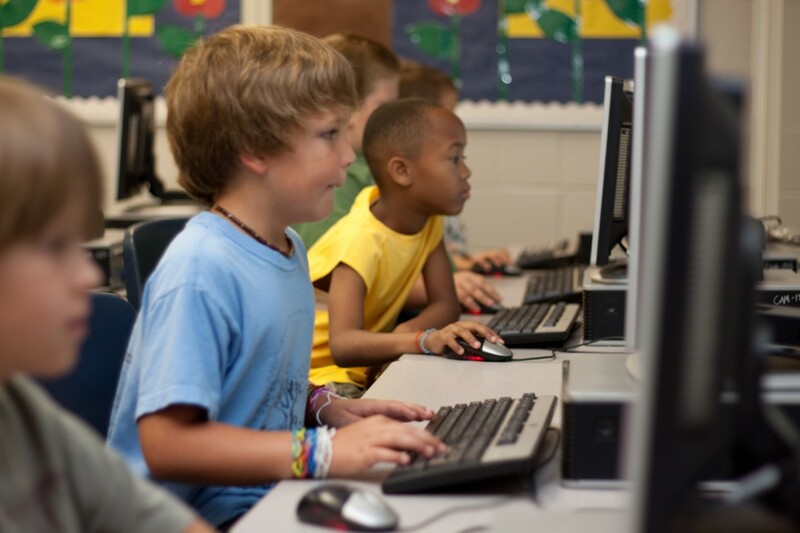 This document looks at the importance of building formative assessment into planning. An apostrophe sorting game created by Julia Strong and referenced in the Jumpstart Grammar book. Download the file below, cut it up and then ask the children to sort the different uses of the apostrophe into their different categories. This resource is based on some of the flip chart feedback from the Talk for Reading Autumn 2015 conferences on how to boost comprehension by helping children discuss text line-by-line. 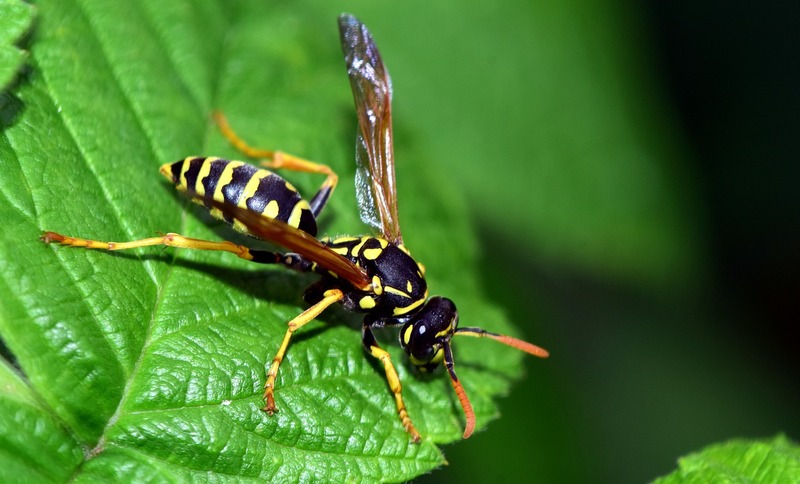 This model text is a story called 'The swallow and the wasp' or 'Why wasps can only whine'. 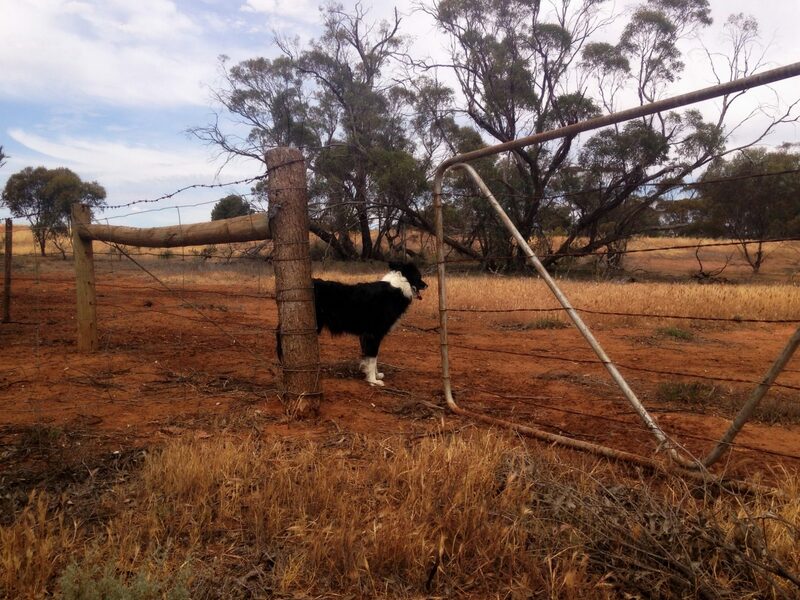 Its underpinning storyline lends itself to creative innovation. In the summer 2016 newsletter we ran a competition looking for stories of no more than 400 words that could be used as model texts for Talk for Writing. We received a number of entries, four of which stood out as prize winners. 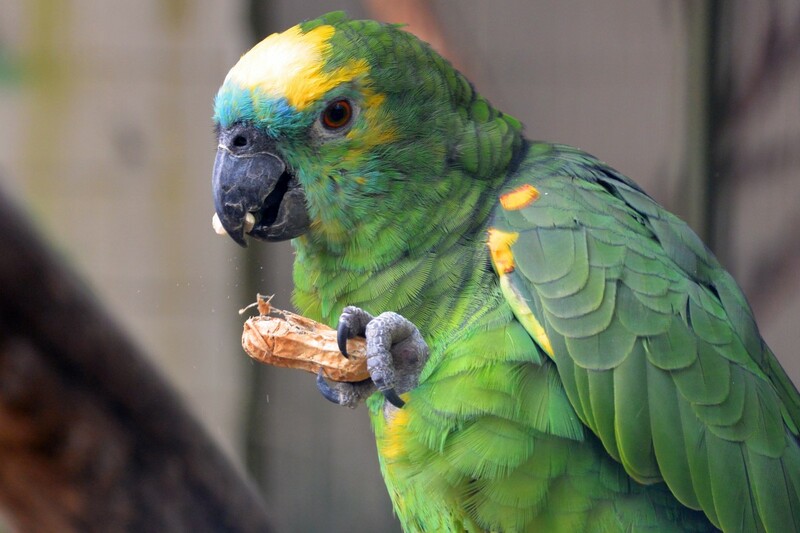 Each of these stories are downloadable below for you to use in class. Congratulations to Chris Farnen, Richard Johnson, Jackie Livermore and Heidi Simpson on their winning entries! This one is Morgan and his Magical Maths Underpants by Chris Farnen. Suitable for a Year 2 class. Pie Corbett leads an inspiring workshop with teachers and community workers at a story telling workshop in Pontypool, South Wales. Noughts and crosses - subordinating conjunction style. This is a great game to play once the children understand subordinating conjunctions and it will really build their confidence while being an entertaining challenge. It's also a good game to play at a staff meeting to help build staff confidence with the rather obscure need in the 2016 grammar test in England for children to be able to spot the difference between a word like before when it functions as a subordinating conjunction, as opposed to when it functions as a preposition. 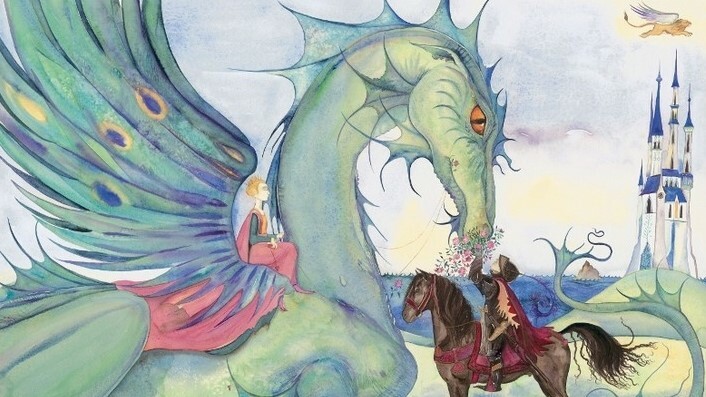 These Teachers' Notes have been specially written by Pie Corbett to assist teachers and librarians in the promotion and teaching of Tell Me a Dragon by Jackie Morris in schools and to help foster a love of good books, literature and reading in children. Rehana and Rashida from Yew Tree Community School in Birmingham, a Talk for Writing Training School, have kindly shared their toolkit showing how sentence structure progresses across the years. 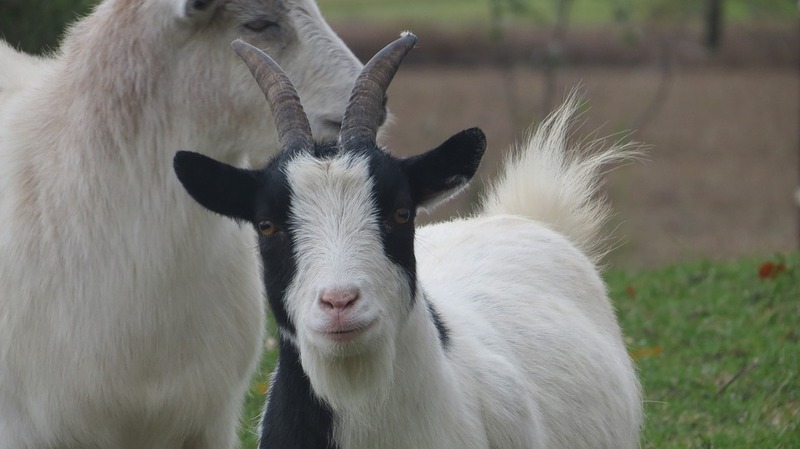 Those of you who have looked at the 2016 sample test paper will know that the naming of parts (and some of them very obscure) is gaining ground and additional terminology has been added. To help teachers confidently integrate the grammar into model texts and engaging the children, we have provided a free training PowerPoint plus related resources. This PowerPoint supplements Jumpstart Grammar. Before using this resource for training all staff, we suggest that you try out the ideas with a small group of staff, to build up your confidence and understanding of some of the trickier aspects. 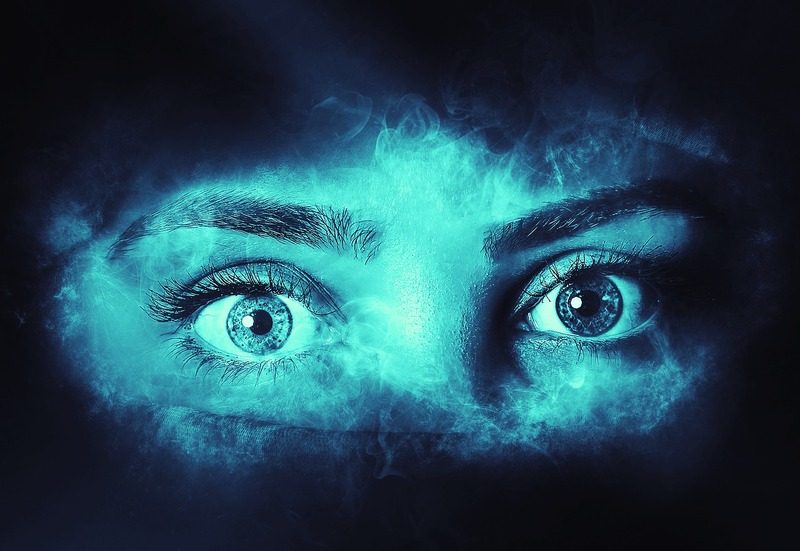 To create suspense, to build tension, scare the reader and keep the reader wanting to find out what will happen you might want to... 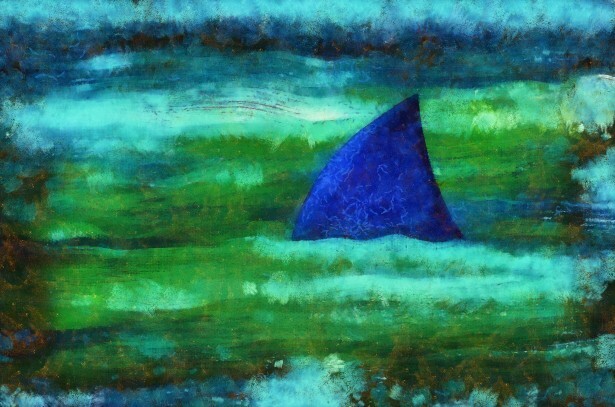 Some ideas for suspenseful writing for all age groups. 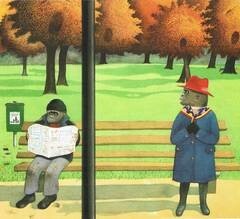 Voices in the Park author Anthony Browne is a former Children's Laureate. His books are part of a game he plays with the readers. In his illustrations he draws on famous works of art but he also hides surprising images so that a tree takes on the shape of a hat or footprints become leaves. However, Voices in the Park is more than surreal entertainment, it is rich in many layers of meaning. Here are 7 suggested activities to deepen understanding. A unit of creative work inspired by the poems 'In the City of Silences' and 'The Cave of Curiosity', the latter based on the simple idea of creating a place (cave) and linking it to an abstract idea (curiosity). The unit covers an abstract noun game, shared and independent writing. This sort of writing hinges around a child's natural inclination to play with language. As they grow older, children often lose the pleasure in language play. Words and sentences can become increasingly frightening and bound by rules and checklist. Here, we were developing 'writing for pleasure'. 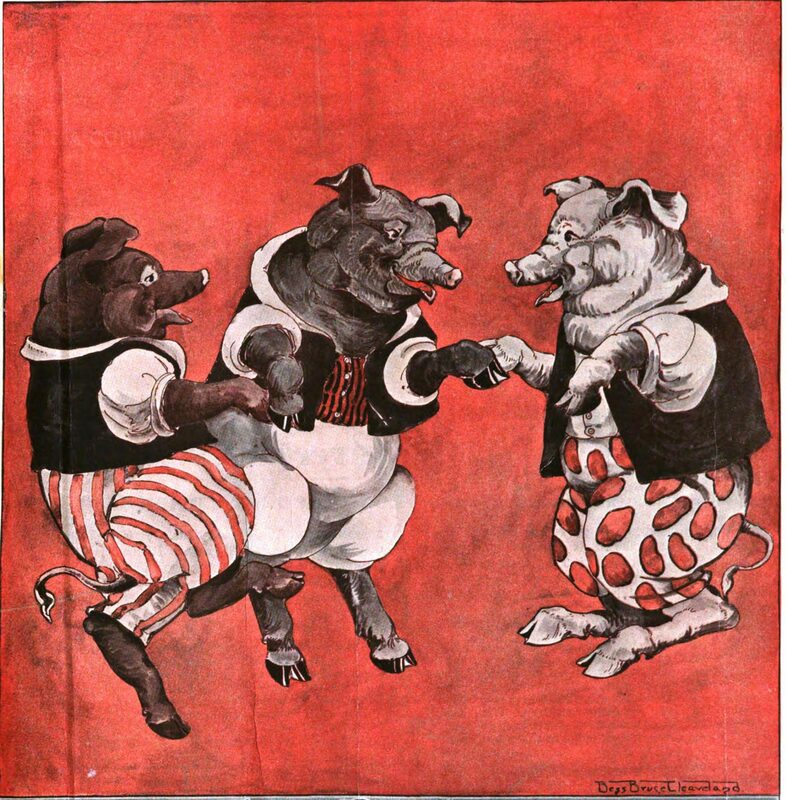 This story is based upon a traditional story, probably of Norwegian or Russian origin, often known as 'The Sheep and the Pig'. 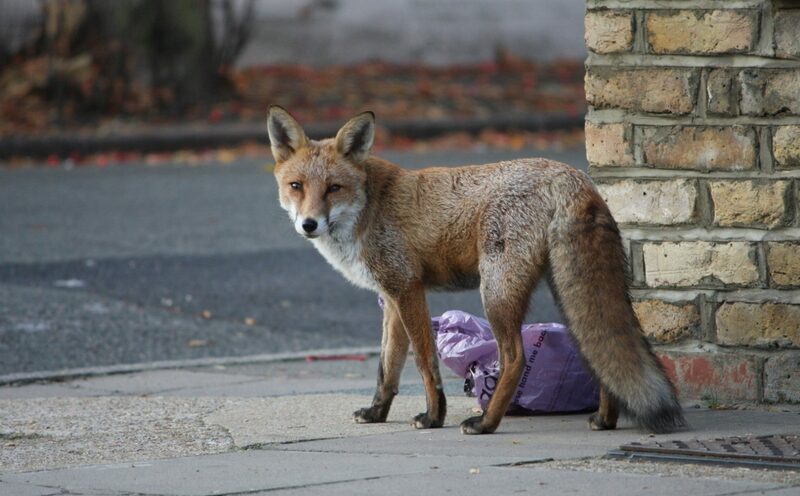 It uses the common theme of leaving home as well as a potential threat that is eventually overcome. Pie Corbett spent a long time honing the story, trying to build in a strong repetitive pattern, making it easy for learning orally. The suggestions for a unit of related work cover the imitation and innovation stage. 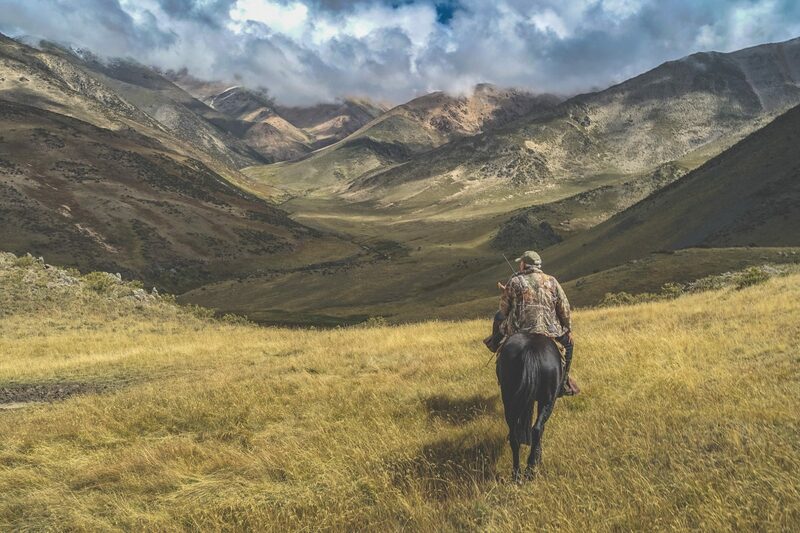 Whether you're after inside hooks, outside hooks, role play hooks or experience hooks, Talk for Writing trainer Jamie Thomas has it all covered and shares his hook ideas. There is a direct correlation between the amount a child reads, their attainment in reading and the quality of their writing. Knowing this to be an exact correlation within their school attainment, and having spotted Pie's Y3-6 'Page Turners' sets of books, an idea began to take shape at Maidwell Primary, Northamptonshire: "It wasn't rocket science: if we already had hard data to demonstrate high attainment in reading = high attainment in writing, the only challenge was to develop the children's reading habits and establish a true reading culture in the school." Read how they got on here. Beckie Reeve, Reading Leader at Selby Community Primary School explains how the school has transformed attitudes to reading: "As part of the Literacy Team at Selby CP, I can honestly say that we are well on our way to conquering that real love of reading with our children as the quotations below suggest. They are engaged, enthused and spilling over with excitement when talking about their class novel, their reading for pleasure book or authors that they admire." Many schools now use the Imitate, Innovate and Independent Application/Invent process to teach writing using the Talk for Writing approach. However, out of the three stages, it seems to be the Independent Application/Invent stage that can prove to be the most challenging. 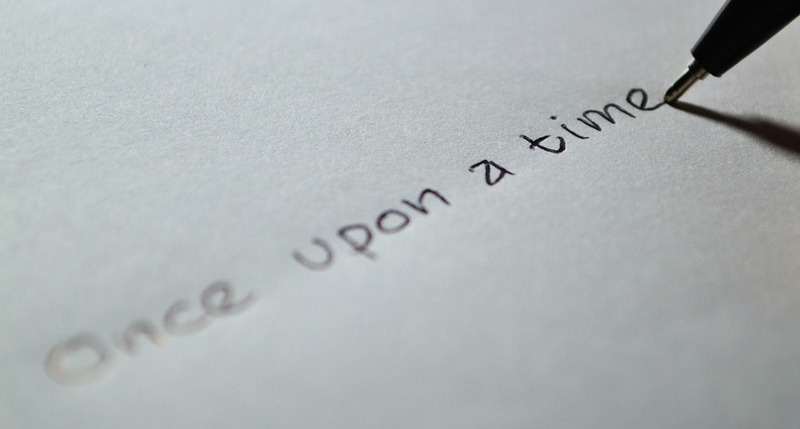 So how do you successfully invent a brand new story that is of a similar quality to an innovated one?Â In this downloadable PDF document Talk for Writing Primary Expert Maria Richards gives her advice. 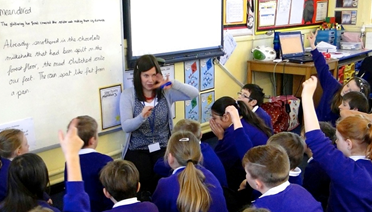 Talk for Writing expert Maria Richards has adapted Pie Corbett's generic story plots and created a document which should help provide guidance to pupils on how to structure a story. 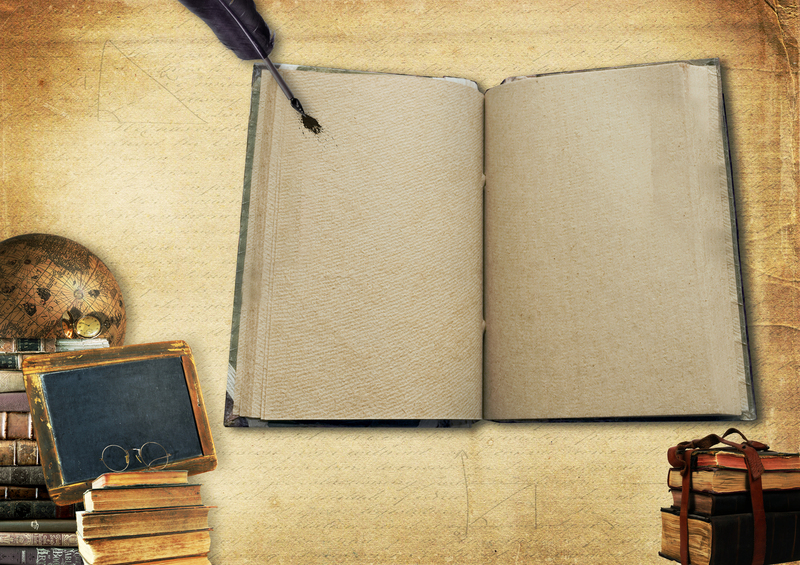 The aim of Talk for Writing is to grow independent writers. Here are some suggestions from Pie Corbett as to how this can be achieved first in relation to narrative and then non-fiction. He then looks at how such independence can be prepared for through the innovation stage of the imitation, innovation, independent application process. 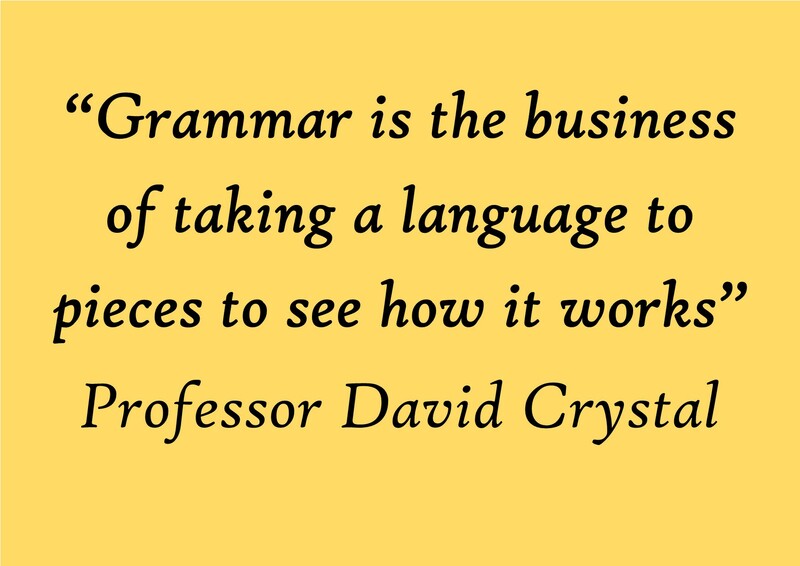 If you're teaching grammar, as with any teaching, it's important to establish what the children already know and what needs to be taught. 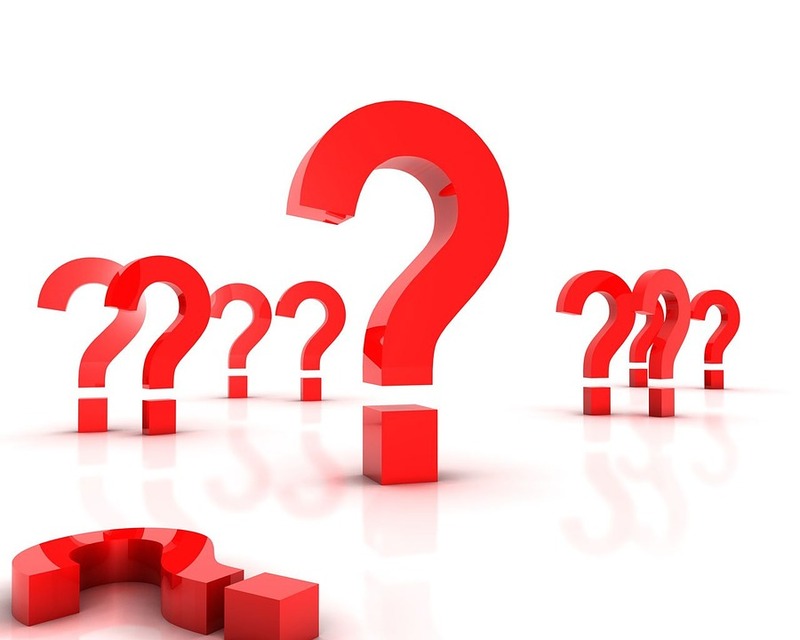 Use the never-heard-the-word grid with your class in order to establish which of the key grammar terms need teaching, or which the children have understood from previous grammar lessons. The connectives actions sheet is a one-page document with pictures of Pie demonstrating the suggested Talk for Writing actions for the key connectives. 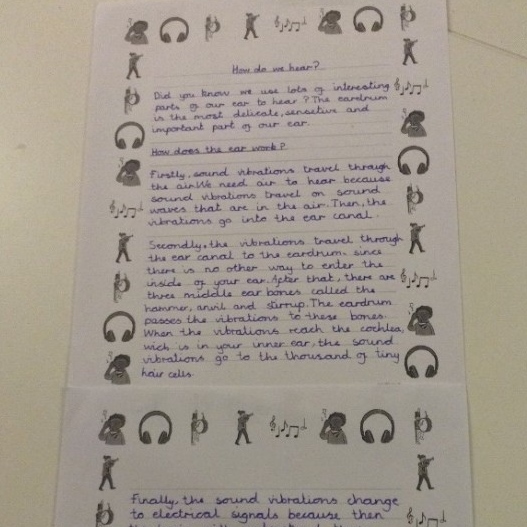 'Shared writing phrases' is a two-page document for use by teachers. It provides a range of phrases that it might be useful for teachers to use in order to get the most out of their class when doing a shared writing activity. The 'Connectives phrase bank' is a one-page document containing a range of different connectives that a writer might use. This is a 25-page document written by Pie Corbett. It is a key Talk for Writing resource in which Pie explains what is important when teaching English and also suggests a range of activities for teachers to use in the classroom. 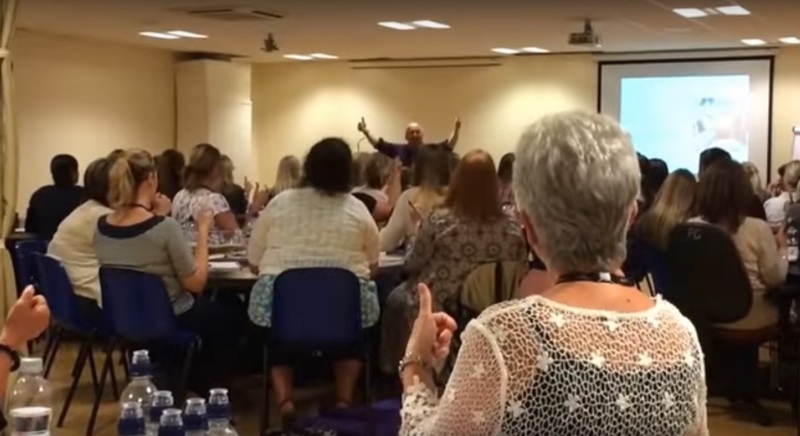 In this short video, four delegates at Pie Corbett's 'Grammar through Talk for Writing' conference explain what they will take away from the day. This worksheet contains a range of different sentence types which then need to be matched with the correct description of that typeÂ of sentence. 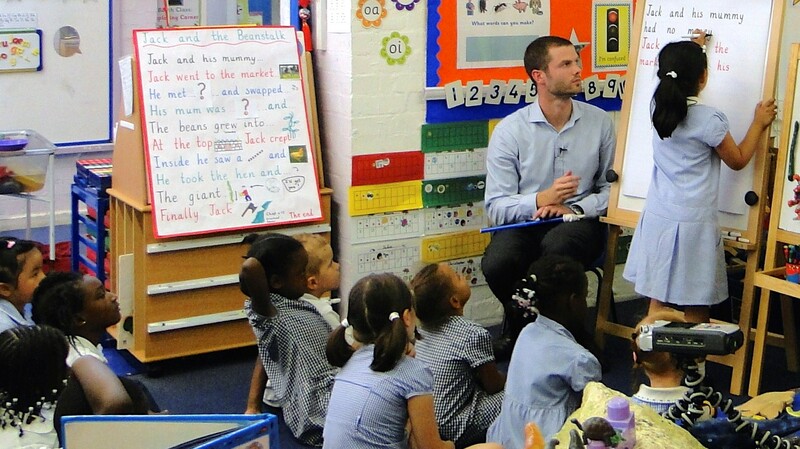 The aim is to help pupils understand different types of sentence and when they might be used. This is a worksheet for pupils to fill in to help them consider how grammar can be used differently in an opening sentence and the impact this has on the reader. 'The Tree Giant' is a one-page story written by Pie Corbett to demonstrate an example of a 'recount' or 'information report'. This resource could be used as a starting point for non-fiction report writing when combined with the Talk for Writing approach. 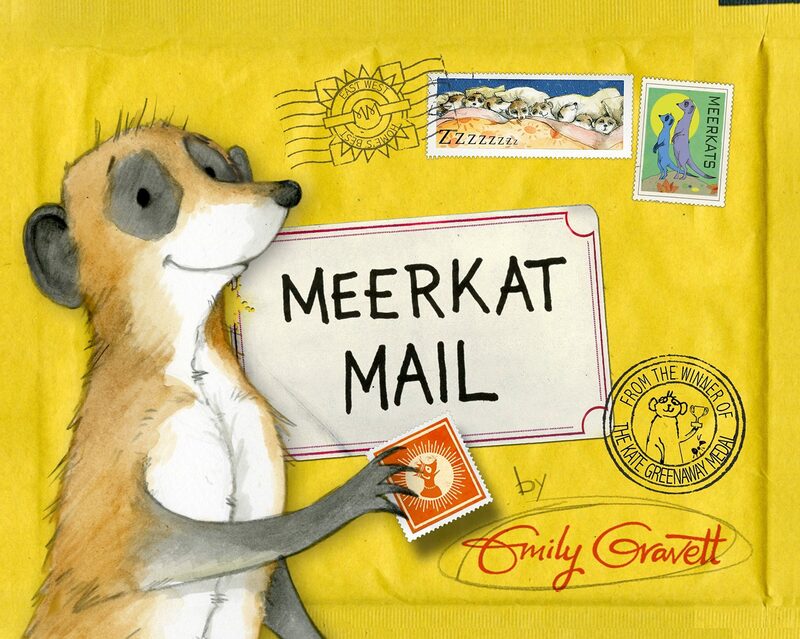 Meerkat Mail is a KS1 cross-curricular unit of work underpinned by the Talk for Writing approach. It has been written by Talk for Writing trainer Carol Satterthwaite. 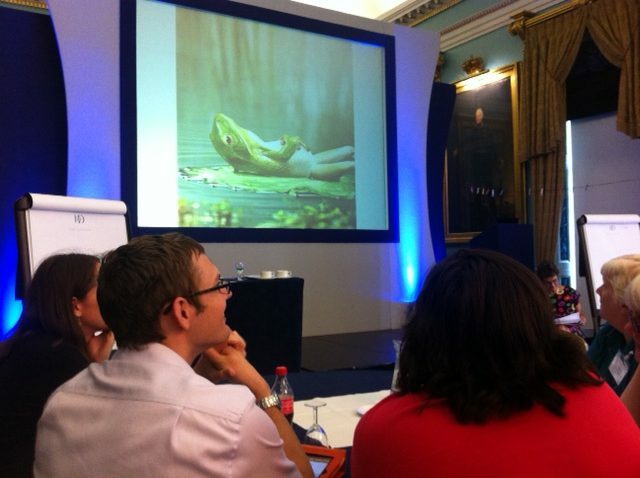 This blog is from the Improving Reading and Writing Through ICT conference. 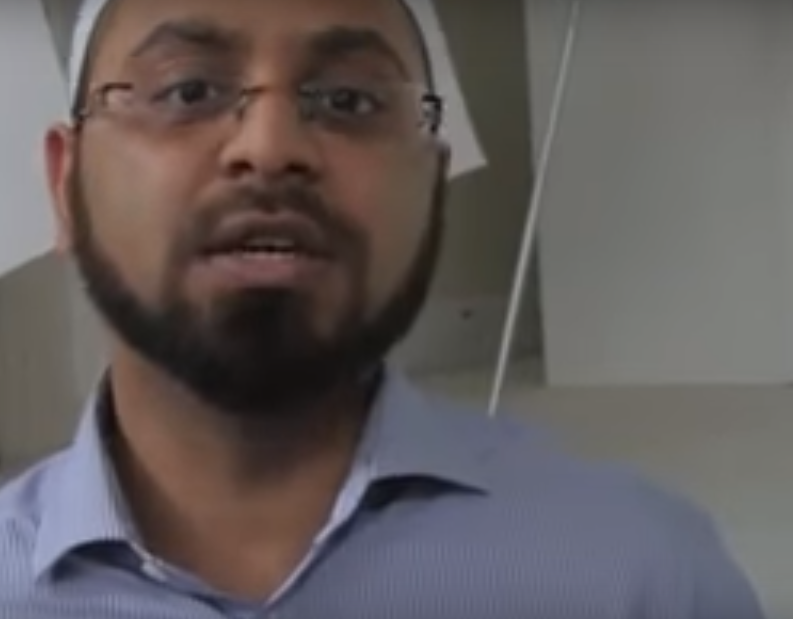 Here you can watch Pie model shared writing and provide an online writing tutorial for pupils in Bolton. 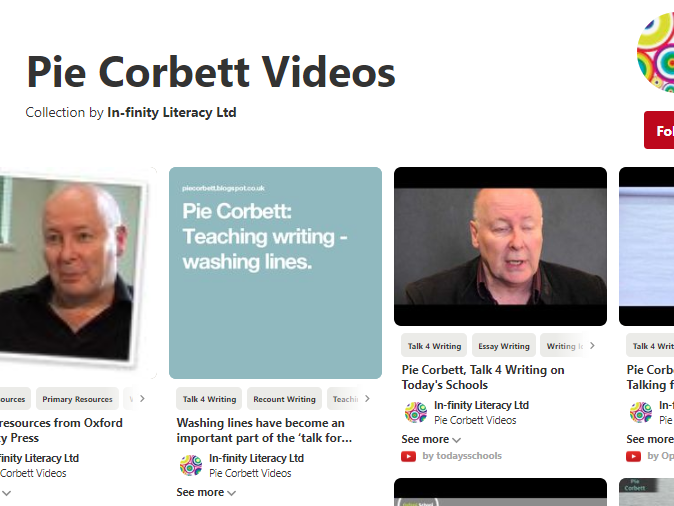 This is a Pinterest board of Pie Corbett YouTube videos covering different literacy and TfW topics. Pie Corbett demonstrating communal storytelling to a group of literacy consultants. Pie Corbett introducing the concept of 'Talk the Text'. This document is a teaching guide looking at which types of words and what level of grammar should be introduced at each year of the primary curriculum. The document has been updated in line with the 2016 grammar test requirements in England. 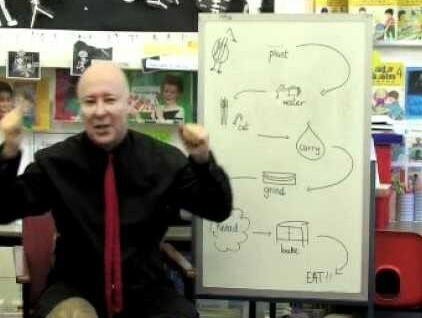 Watch Pie Corbett demonstrating the Talk for Writing method in teaching the story of the Little Red Hen. 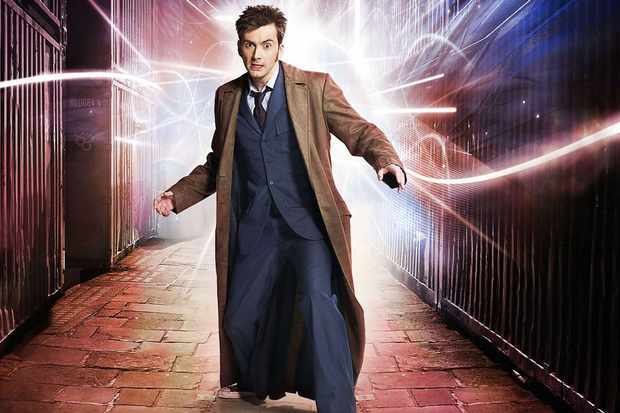 In this blog, a teacher explains how they used the Dr Who examples given in Pie Corbett's Talk for Writing Across the Curriculum book in their own class. 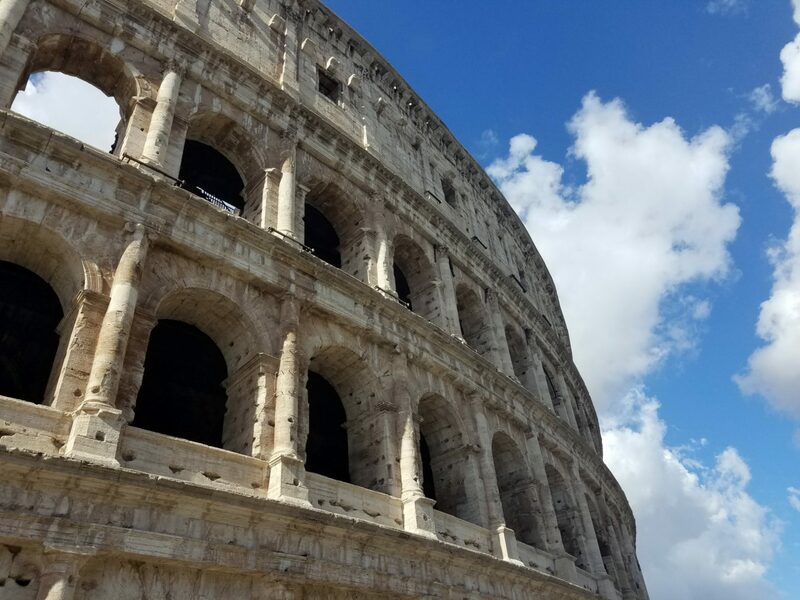 Rome wasn't built in a day Talk for Writing Primary Expert Maria Richards explains why you must invest time and have a plan if you want to reap the potential benefits of Talk for Writing for your school. 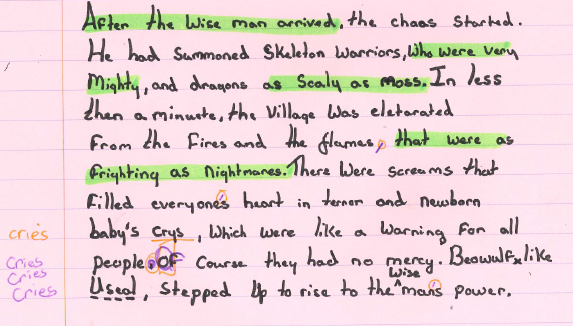 Talk for Writing trainer Jo Pearce explains how a model text can be used to help pupils become effective writers of suspense stories. Download the model text here, along with teaching notes and worked examples. Talk for Writing consultant Kathryn Pennington explains how and why she writes and maps her own model text: "Having a model text is vitally important in the writing process...You need a clear example of what good looks like and that's where the model text comes in...A good model text should clearly exemplify the key features that the children need to learn in order to make progress. It should include the areas for development identified from the cold task that helps you to know what the children can already do." How do I use this book with Talk for Writing? 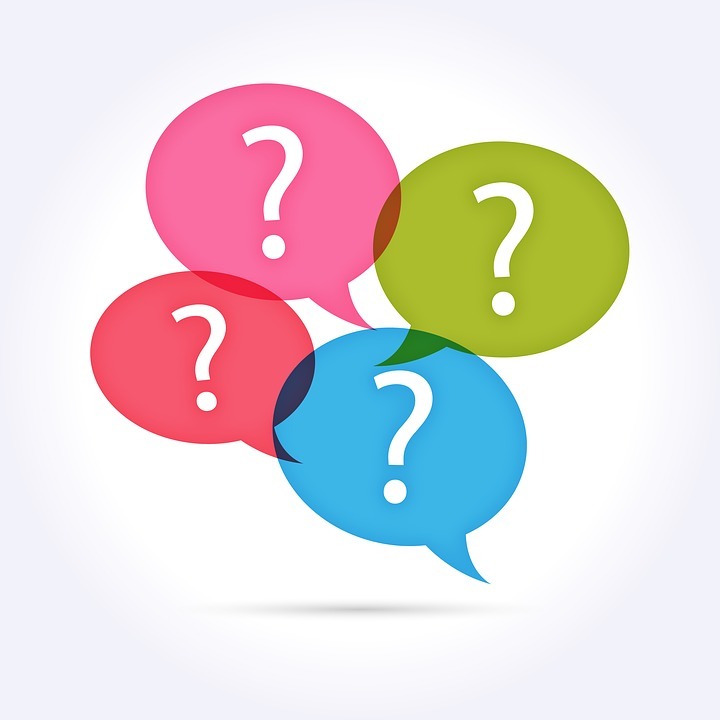 "As a trainer, I often get asked questions such as: 'How would I use this book with TfW? '; 'I am reading The Tunnel by Anthony Browne to my class - how do I teach that using TfW?' 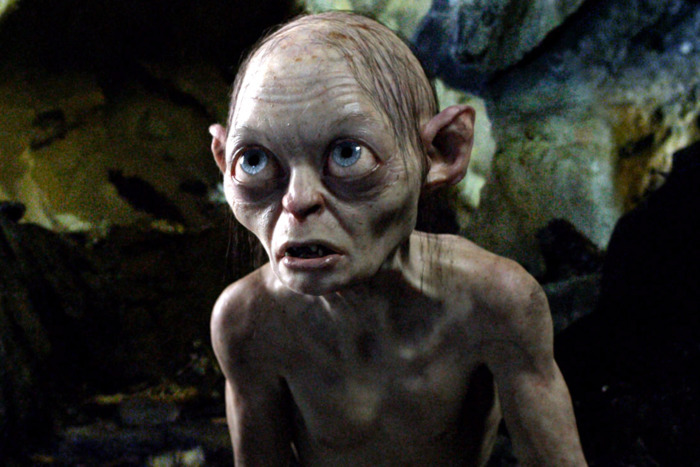 or 'Do you have a good model text for the Hobbit?'..." Talk for Writing Expert Kathryn Pennington explains the role of a model text and how to select an appropriate model text for your purposes. This downloadable resource includes 4 model texts. Evelyn McKenna illustrates how Talk for Writing is creating outstanding progress in Pia Wadjarri Remote Community School in the Australian outback: "Traditionally, learning for aboriginal children was largely a matter of observation and imitation...within concrete contexts. The imitation and innovation phase of TfW taps into this preferred learning style and provides a safe scaffold for students to gain confidence and develop mastery. It has been exciting to see the way they have progressed...The structure of the text models builds confidence and skills. The opportunities for over learning in an exciting and imaginative way has reinforced and built upon these". A suspenseful model text by Talk for Writing Expert Dean Thompson, with accompanying teaching notes explaining how the text might be utilised to develop a unit of work: "Anthropomorphising the cunning or wily fox is a very popular idea in many stories - for example, The Gingerbread Man, Pinnochio, Dahl's Fantastic Mr Fox and of course Aesop's Fables....In this story we catch a glimpse of a fox who is 'caught out' by a passing stranger who hopes to capture the moment The writing is in first person to try and capture the meeting 'in the moment'." At Hallsville Primary, teachers have found that there is not one magic ingredient for creating quality independent writing, but many. What do they think is the most important? Reading: "We have found that the longer you linger with the text, the better the independent outcomes are. It is easy to rush through the imitation stage, especially when you get further up the school, but choosing a challenging text and taking the time to explore it are both crucial. 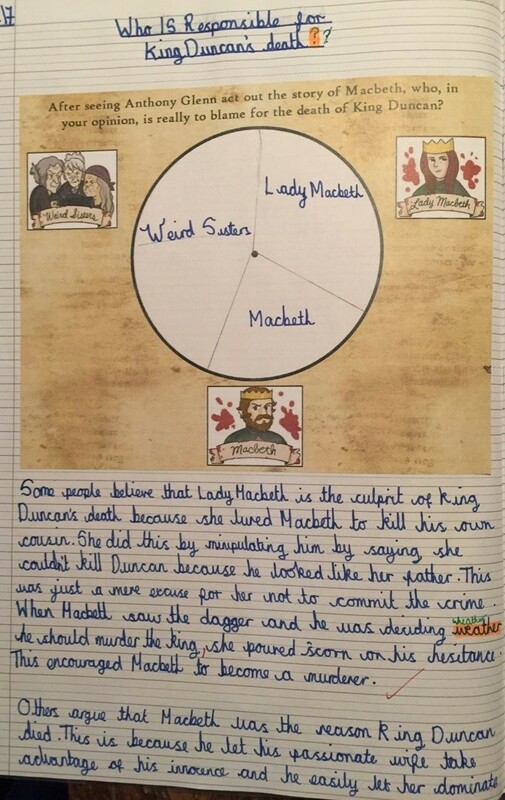 I will use the example of a Y6 unit on Macbeth..."
Emma Mann, from Penn Wood Primary in Slough, takes us through how they get their pupils to the end point - real, quality independent writing. At Penn Wood, the stages of Talk for Writing support 'the end point', i.e. 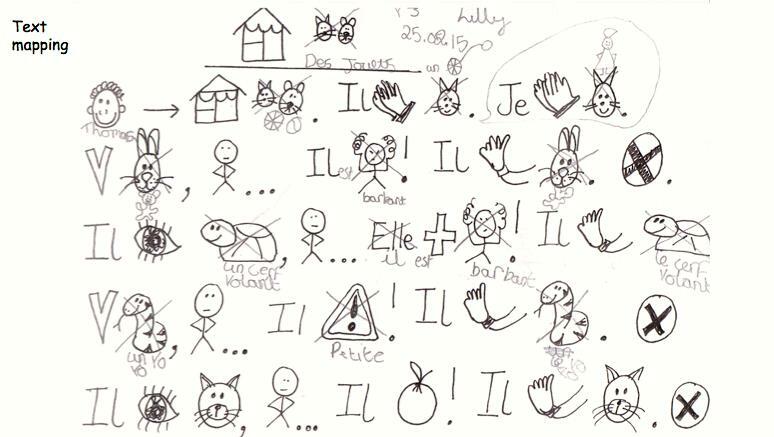 getting children to write well independently. In order to do this, we follow Talk for Writing's 'imitation, innovation, independent application' process. 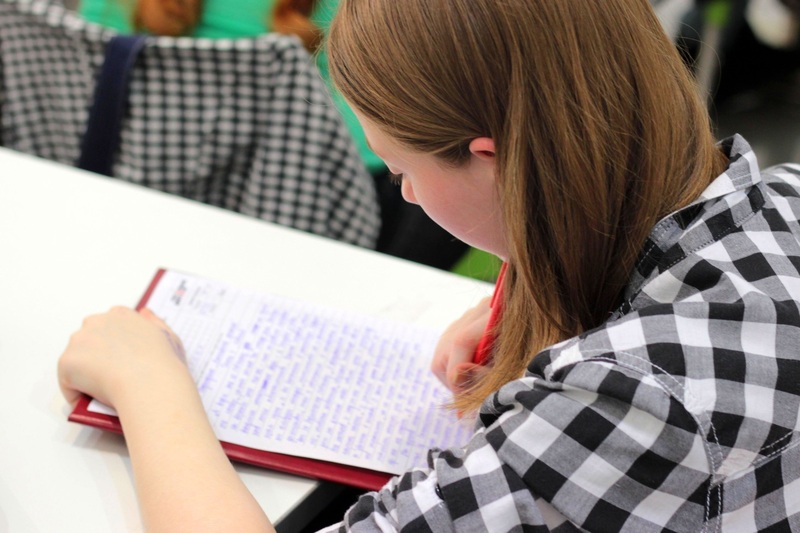 "At Penn Wood, we ask ourselves the question, what do we need to get right in order for the independent writing to be the best that it can be and so that children achieve mastery within the writing process?" There has been a lot talked about 'Reading for Pleasure' over the last year. Even the government recognises the significance of the link between reading for pleasure and attainment. Of course, if children, or any of us, love doing something then we are more likely to put in the practice and over time become more skilled. It makes me smile that whilst 'Reading for Pleasure' is enshrined in the National Curriculum, the powers that be have yet to make the same link into maths or science or 'Writing for Pleasure'. 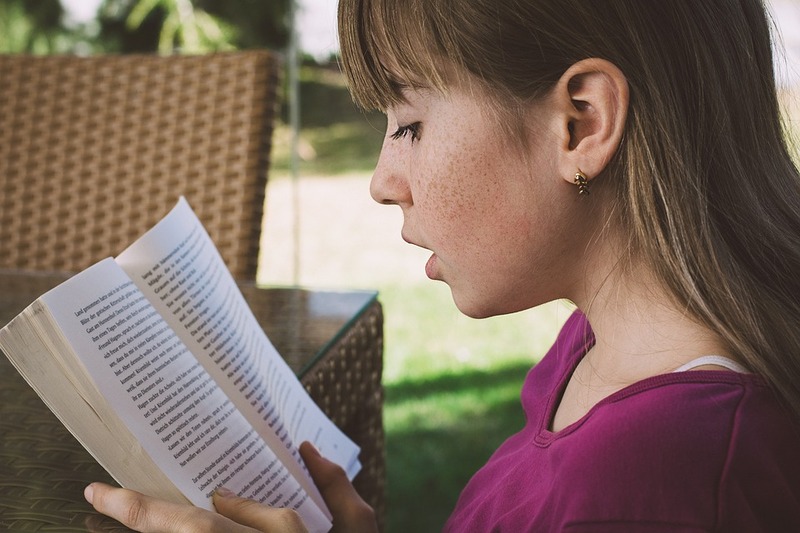 Talk for Writing expert Maria Richards writes: "We all know the importance of strengthening and increasing the amount children read and, as Pie Corbett would say, 'helping children to catch the pleasurable habit of reading.' As part of our recent Talk for Writing research, many of the training centres have shared their experience and success in building reading for pleasure into the culture of the school. 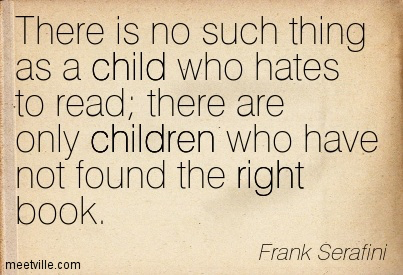 Inspired by this, I have worked with one of my local schools to really focus on building the reading culture. 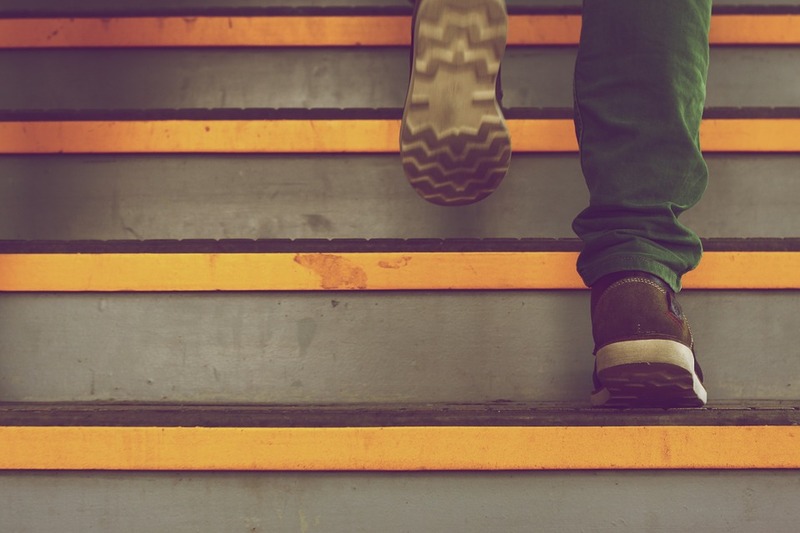 Here are our top tips to getting going." 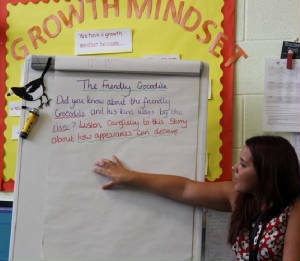 Following Talk for Writing training, Headteacher Sue Jackson invited an enthusiastic staff to plan a unit of work based on a creative hook and quality texts. 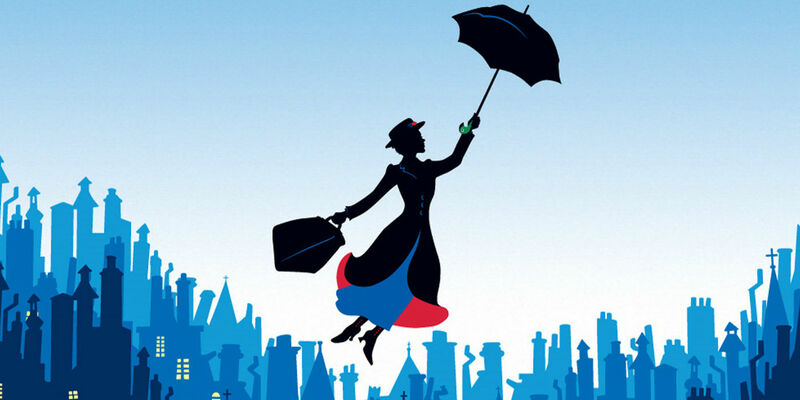 This case study about the experience of class teacher, Elenor Chetwyndd-Knagg, features a unit of work in Year 4 based on Mary Poppins and exemplifies some key aspects of the Talk for Writing teaching sequence in action. The unit followed a visit to the theatre production of Mary Poppins. 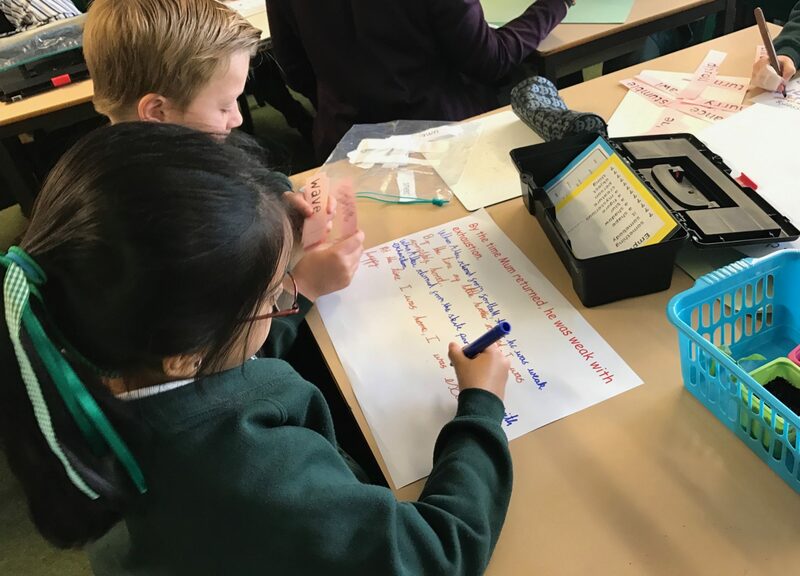 How a Talk for Writing project at Summerhill Primary School transformed writing: "As leaders, it has been exciting to watch the teachers grow in confidence and develop the ability to teach writing in a more creative way. There is a buzz of excitement around the school and staff are proud of the work the pupils are producing. 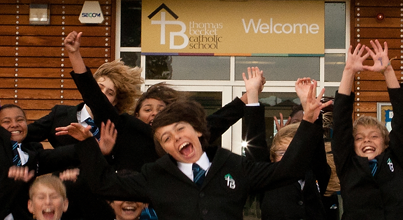 They display it constantly around the school which makes our pupils and staff feel proud of their achievements." Front Lawn Primary has been on a journey of improvement since 2013, when Talk for Writing was first introduced. 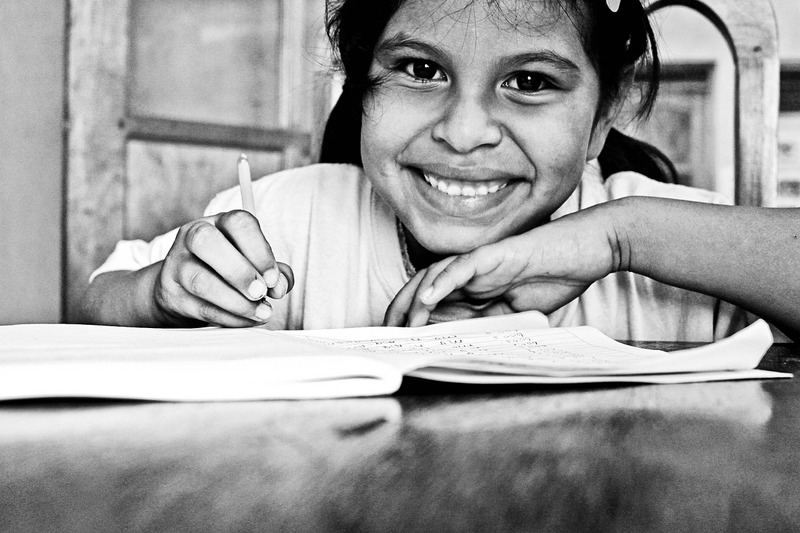 Reading results are greatly improved with children making accelerated progress. 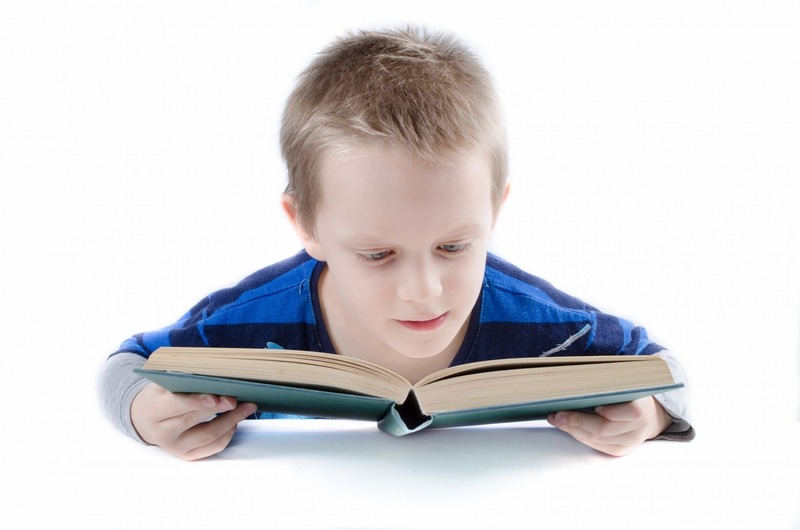 As a result of teaching reading to the whole class, children are now more confident in discussing a text and unpicking vocabulary in order to comprehend at the standard expected for their age and at 'greater depth'. 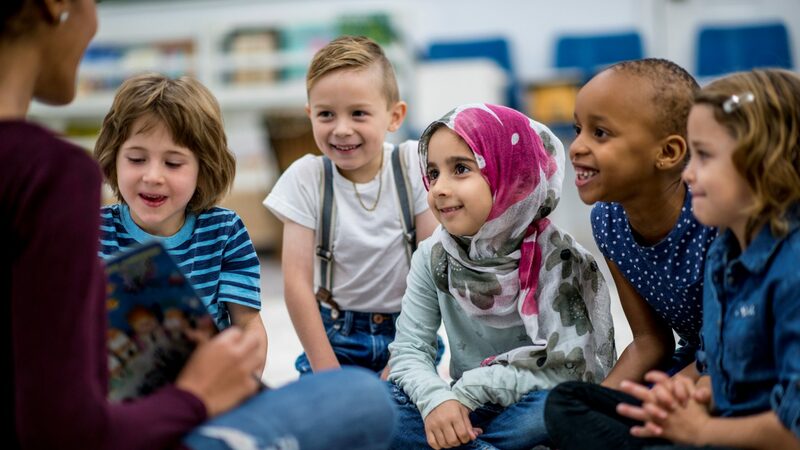 Children's higher-level understanding of vocabulary allows them to participate in challenging discussions around words and phrases, make detailed predictions and justify their opinions in a mature and sensitive manner. 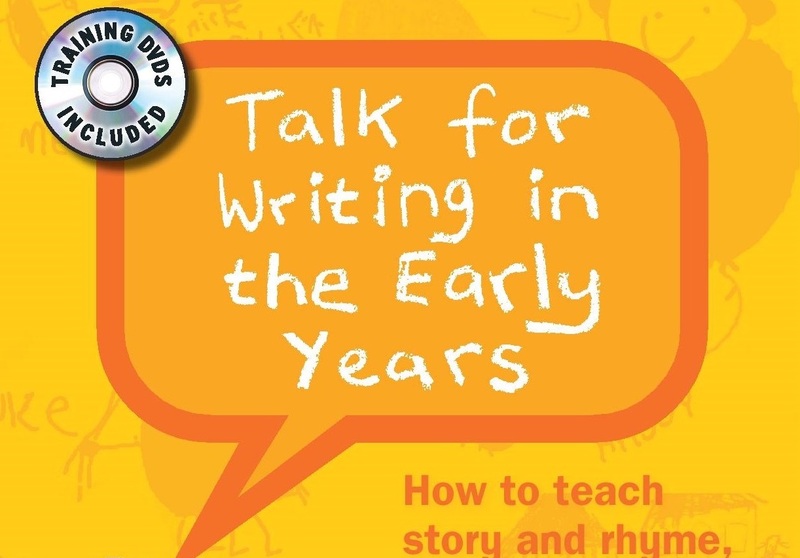 Talk for Writing trainer, Maria Richards, explores how to teach writing well through Talk for Writing's short burst approach: "Short burst writing has transformed the way I think about teaching writing skills and I have now seen how it can powerfully transform children as writers too. 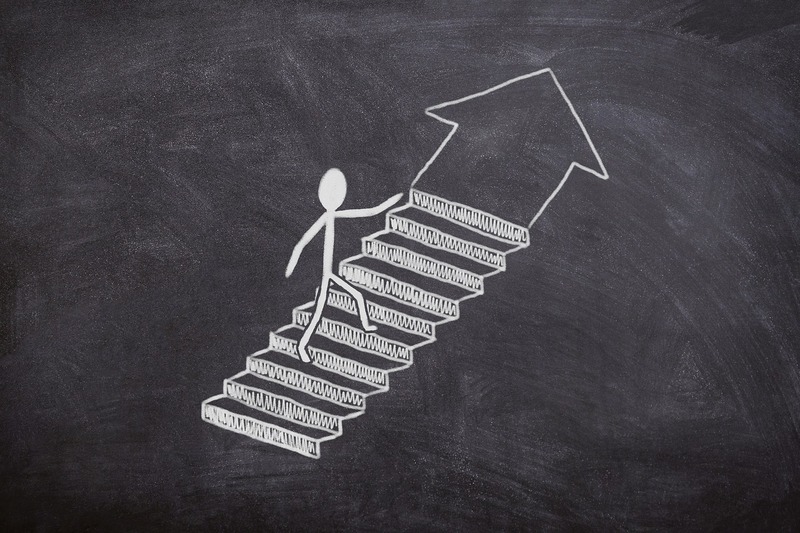 Plan it into your Talk for Writing sequences and find your transformations." 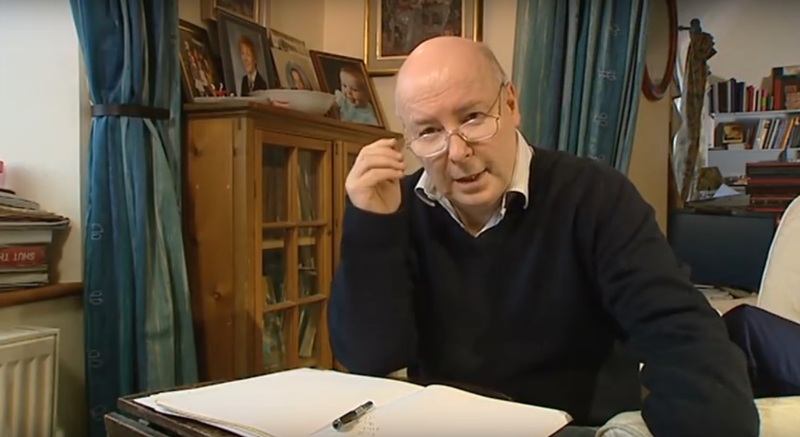 Maurice Leahy, teacher at Carlton Hill Primary School in Brighton, studied one child's writing over a year to see the impact that Talk for Writing made. 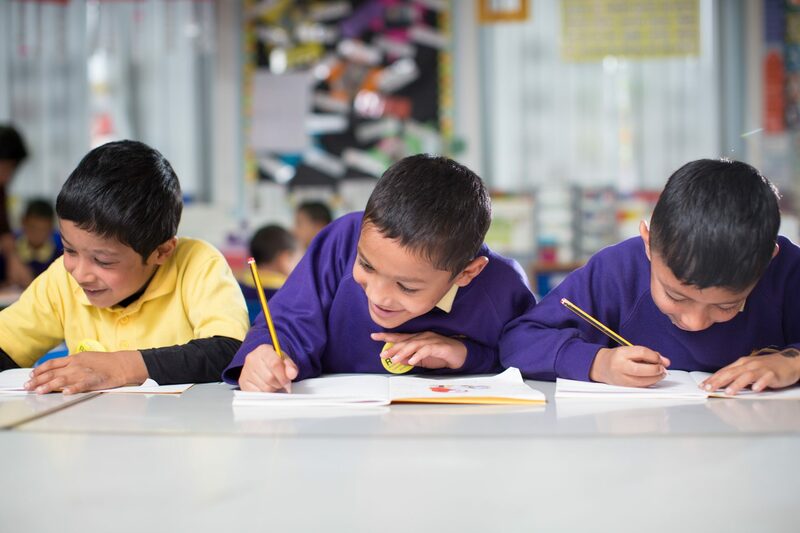 Maureen Carroll, Talk for Writing Lead at Yew Tree Primary in Birmingham, explains some of the steps the school has taken to embed a love of reading in the pupils: "Our greatest challenge has always been reading; the learning of the new vocabulary and inference being the main area the children struggle with. Our main priority was developing a love of reading throughout the school in order to boost self-confidence in reading and open up a world of unlimited opportunities. We feel this has been successful because of the following things we have put into place..."
Louise St John explains how Victoria Road Primary School is using iLanguages and its links to the Talk for Writing approach to enhance the children's ability to communicate in French and Spanish: "As a linguist, I was struck by how familiar this process felt to learning or teaching a foreign language: repeat, rehearse and internalise key language; adapt and change certain individual words or elements; 'own' the language and use it independently in a different context." Tom Wrigglesworth, Year 6 teacher at Selby Community Primary School, explains how the Talk for Writing approach can enhance learning in science and develop vocabulary across the curriculum. The children and staff have developed whole-school actions for the key generic vocabulary of science investigations and images of the children demonstrating the actions that relate to the vocabulary are displayed on the classroom wall. 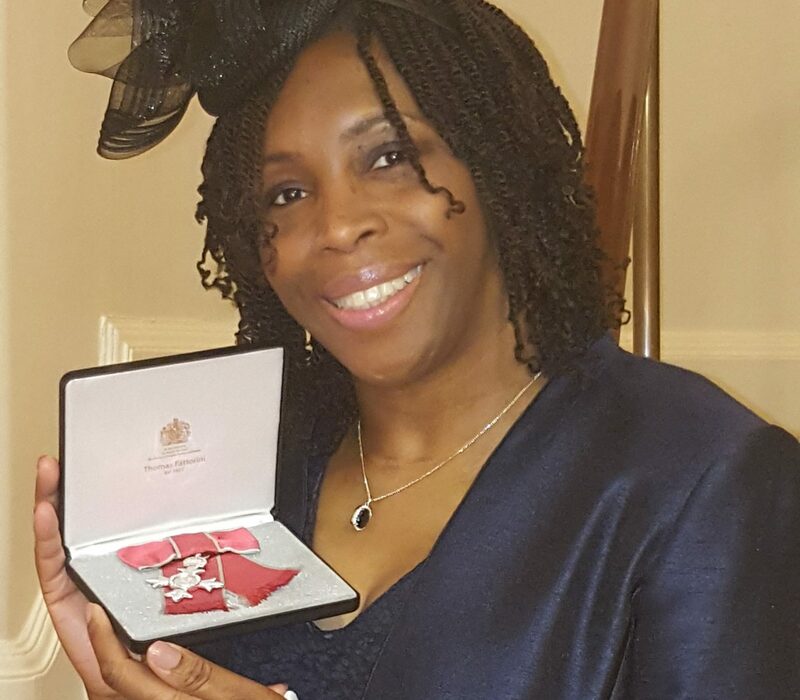 Having been awarded an MBE for Services to Education, Headteacher Paulette Osborne reflects on how Talk for Writing helped transform St Matthew's CE Primary School, Nechells, Birmingham from a disaster into a shining example. 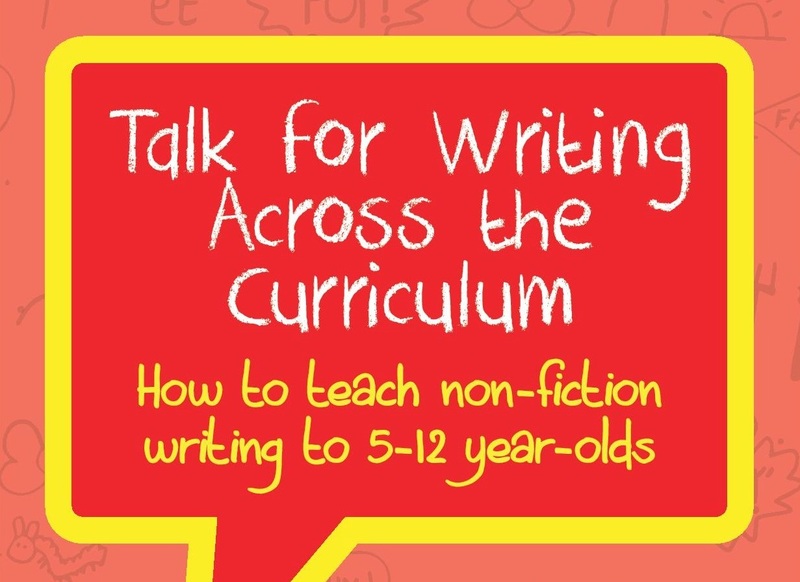 Talk for Writing is used at St Matthew's in all curriculum areas, including maths, to enhance children's skills and knowledge. Their approach to Talk for Writing and their confidence in the children to be able to apply their skills in reading and writing across the curriculum led to a shock Ofsted result of 'Outstanding' in all areas. 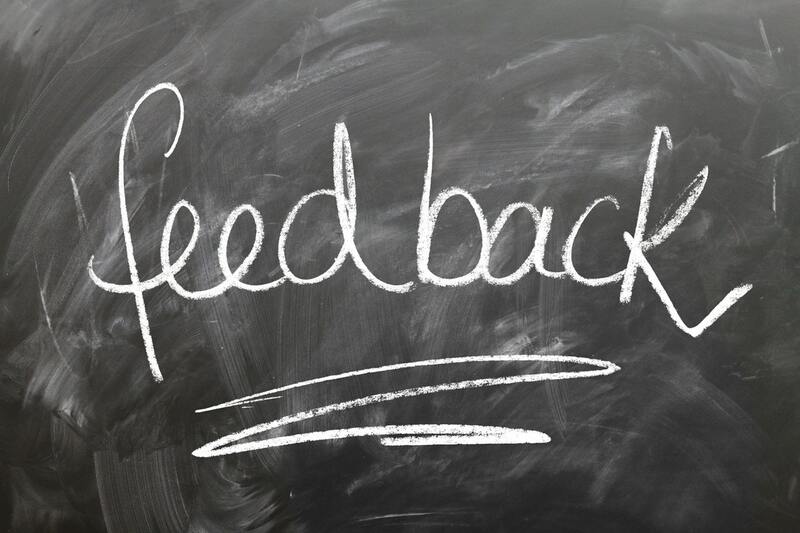 Ali Davis writes about a TfW project at Bevendean Hearing Support Facility: "I have always taught in a very interactive way, igniting imagination and desire to write. Talk for Writing has given a new, innovative structure to this teaching method...The progress of the 2 children in this case study has been 'outstanding'...The rest of the class are doing equally well...They are benefitting from the fun focus on grammar and word level work: this is something we have always had to do with deaf children, due to their delayed language, but it is refreshing to have this validated and developed"
Gemma Wade, Assistant Principal and Director of Teaching and Learning, writes about how Talk for Writing helped move Thomas Becket Catholic School, Northampton, from special measures to 80% good or better for teaching and learning in just one year: "Staff and students are familiar with the strategies and the quality of writing is improving. Students can quickly see their progression in a short amount of time and are now motivated to write. It is exciting to see how much progress can be made with this approach!" Talk for Writing saves the day in Thailand! 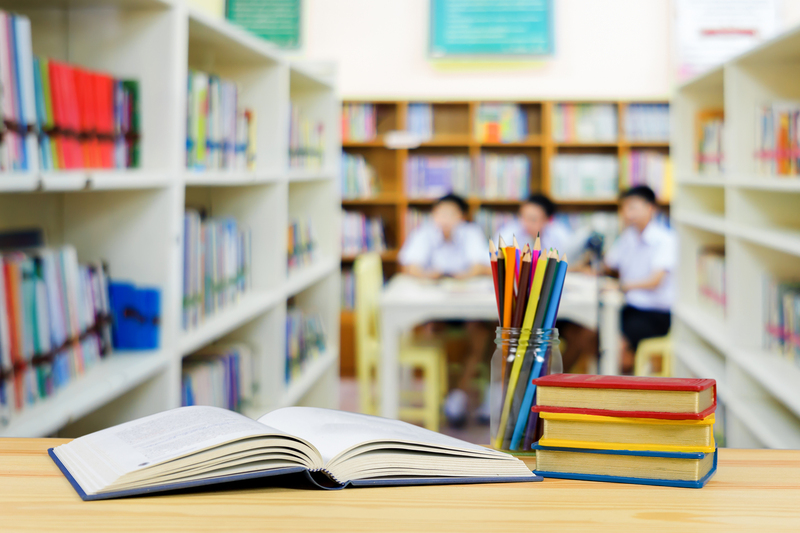 A Foundation Stage teacher working at Penn Wood in Slough employed TfW methods when called upon to unexpectedly teach English to children living in a Thai village. 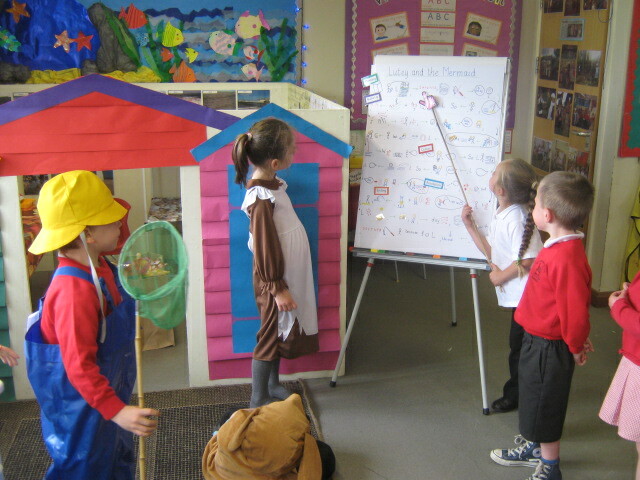 Some questionable acting skills and animal noises were used to explain the meaning of the words to the children, but by the end of the session they all understood the plot of The Gingerbread Man and were able to use the English words. 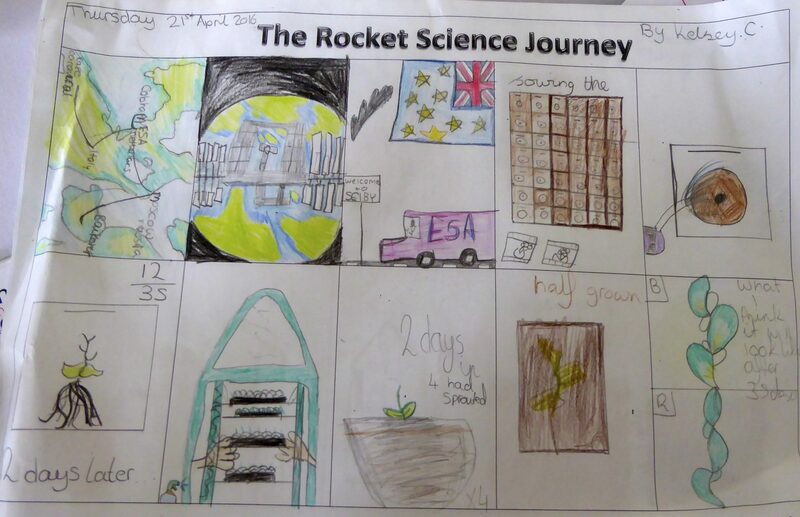 We then developed this further to get them to write and draw pictures of the key characters in the story. Liz Martin, TfW project leader at East Hunsbury Primary School, Northampton: Not only did the format of units in our books, which illustrates the Talk for Writing process clearly, show the progress of our children but they also showed the strength of self-editing; an area clearly highlighted in the new curriculum and which fits perfectly with the Talk for Writing strategy. The moderators went so far as to report to our head teacher that 'the books are the best we have seen' and provide 'outstanding evidence of the writing process'. Ian Clennan, headteacher of Selby Community Primary School, explains how the Talk for Writing approach rescued writing from the doldrums in his school and has the potential to transform writing in all schools: "Since 2011 we have learned many things; the most important being that we had made things too easy for the children for far too long. We have increased our expectations for all pupils, with an increased emphasis on vocabulary use and development which has led to some truly remarkable pieces of writing from the same catchment area of children that in 2008 achieved 22% Level 4." Why effective school project teams are the key to the successful development of Talk for Writing in schools. 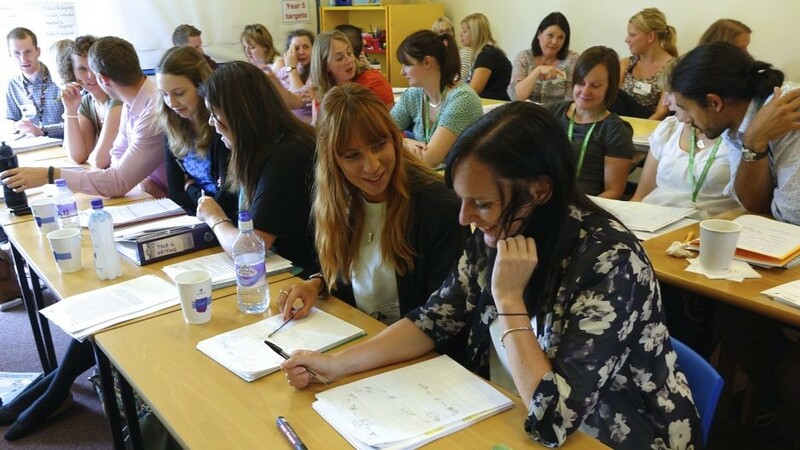 In 2014, Talk for Writing trainers Julia Strong and Maria Richards were approached by the Aspire group of schools in Aylesbury to train the staff of 6 primary schools plus some secondary colleagues. The key aspect of this training was not the two training days for all staff, first in fiction and then non-fiction, but the role of the project teams in leading the project within their schools. Gina Menon, a teacher from Raynham Primary School in London, decided to use TfW to deliver the writing section of a course for The Teacher Foundation (http://www.teacherfoundation.org/), a teacher-training organisation based in Bangalore. It was an entirely new concept for the trainees in a country where rote learning and copying from the board are the norm. The TfW approach engendered spoken and written confidence in the trainees, just as it does in children, but it also sharply accelerated their written English. 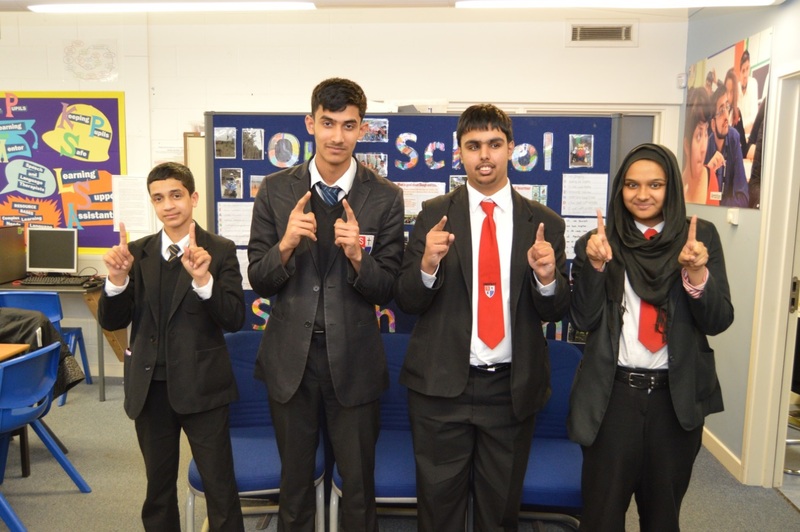 Slough and Eton CE Business and Enterprise College undertook an extended project to help embed Talk for Writing throughout the school. The key aspect of this extended training was not the two training days for all staff on how to adapt the approach for all curriculum areas but the role of the project team in leading the project within the school. Every department reported increased progress andÂ enthusiasm for learning and teaching. 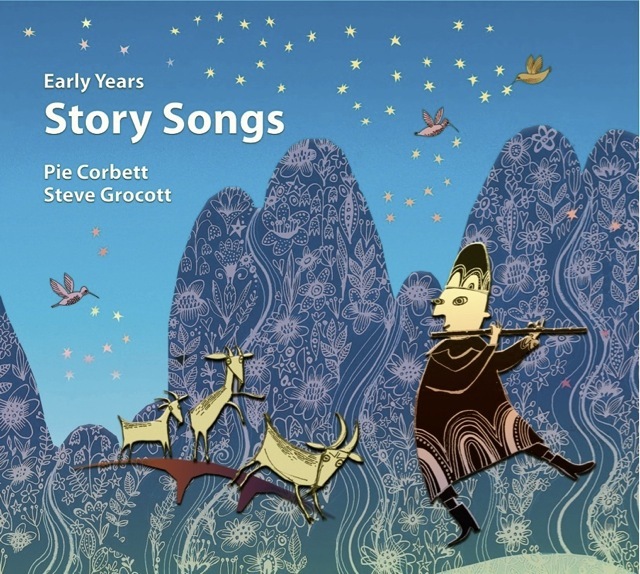 Pie Corbett has collaborated with Early Years music expert Steve Grocott to produce the Story Songs CD ROM. This collection is about how to bring the story out of your songs and how to put music into your stories. Emphasising the musical elements of a story is a very good way of calling forth active engagement from a young audience. 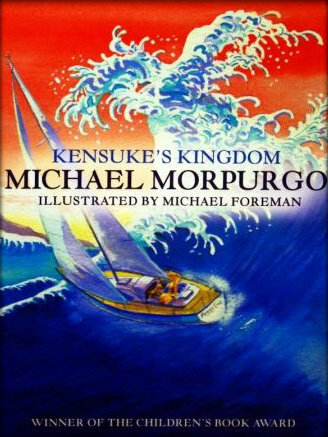 Janet Gough, Assistant Headteacher and English Subject Leader at Cockerham Parochial School in Lancashire, explains how to use Talk for Writing techniques to embed language skills within the context of the Michael Morpurgo novel Kensuke's Kingdom: "Immersing children in a specific text (or genre) and teaching what they need to learn within that text can have stunning and long-lasting results with those basic skills thoroughly learned, discussed and applied." 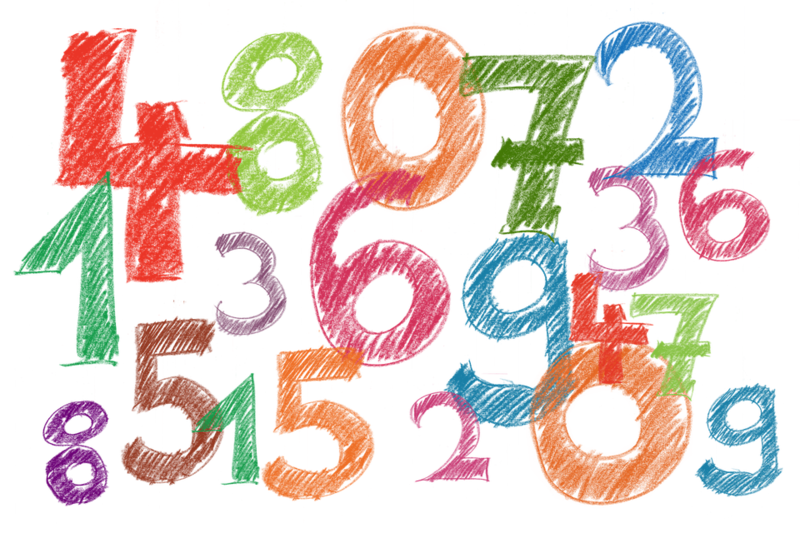 A case study by Mari Palmer of St. Heddas RC Primary School, Esk Valley Alliance, about using TfW to address the 'Year Three Dip' in maths. 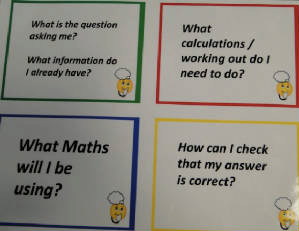 "We decided we would focus on the four main calculations and how children could use 'memory hooks' to remember their chosen calculation methods...transferred between classes so the calculation methods could be presented in a style the children were familiar with, and they were able to recognise them. The children would still be taught to recognise problems in many different forms but they would know to return to the method they were familiar with." 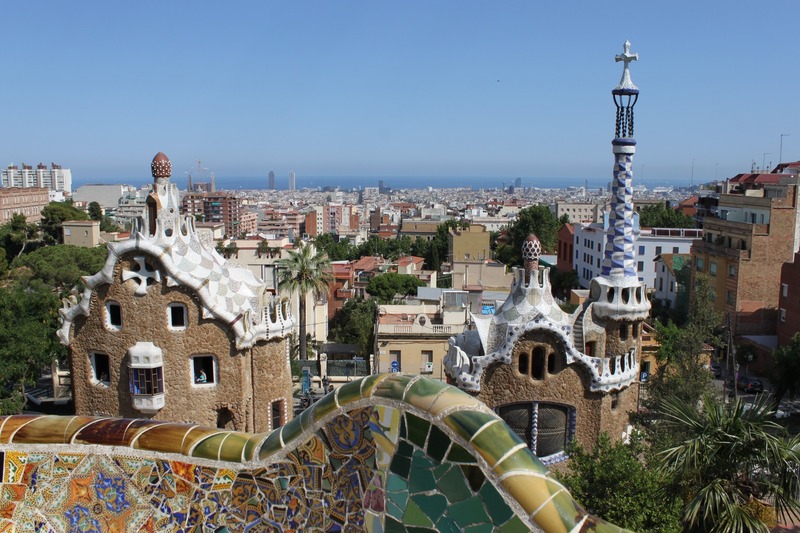 Cara O'Connor, a teacher at Robin Hood Academy in Birmingham, tells us how she took Talk for Writing to the Chinese capital: "It was brilliantly received. 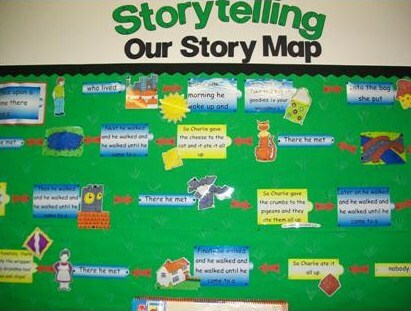 The class teacher loved seeing a different way of teaching literacy especially the idea of story mapping and using the actions. It worked brilliantly. I left a pack of resources as a gift with puppets, story map ideas and the teacher with the class copied the things I used on the big screen. 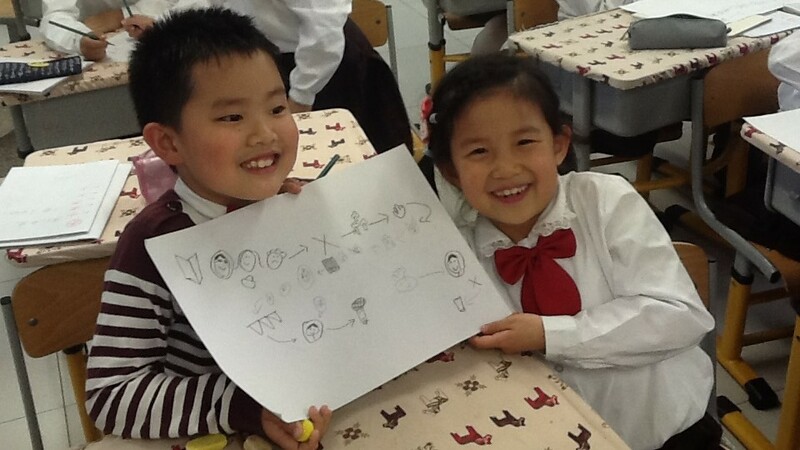 Their teacher was really grateful and excited by it all." iLanguages is a new scheme of work based which is ideal for non linguists. 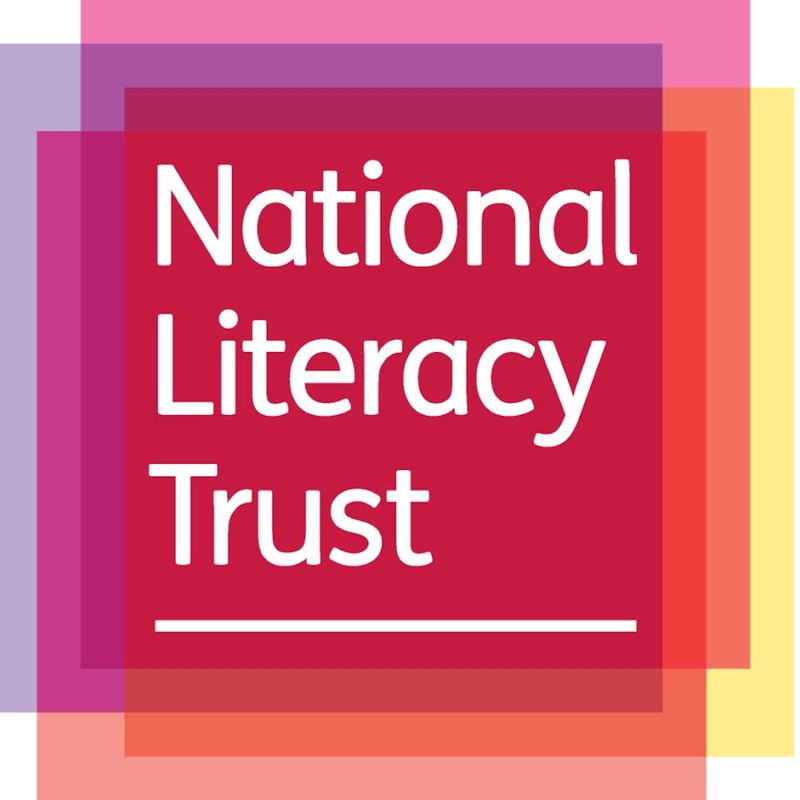 It employs a Talk for Writing approach with active and collaborative learning; includes a strong phonics focus to aid accurate pronunciation; includes tablet and smartphone apps to reinforce the learning at home; utilises creative use of stories, songs and games; links to the KS2 framework and the new MFL primary curriculum with NC levelled assessments; and the methodology enables children to quickly make progress to being able to speak and write in full sentences. Louise Alleyne, a 4th Grade teacher in a government-run school in Abu Dhabi, produced a simplified pictorial book of the Little Red Hen story, using a cat, a goat and a camel as the characters. The students read and then retold the story in the traditional Pie Corbett way, in English and Arabic, using actions and expressive voices to bring the story to life. Their enthusiasm resulted in a mass performance by 120 students! The TfW methodology lends itself well to foreign language learning and this is exactly what teachers Juliet Park and Wendy Adeniji have implemented in their new primary languages scheme. 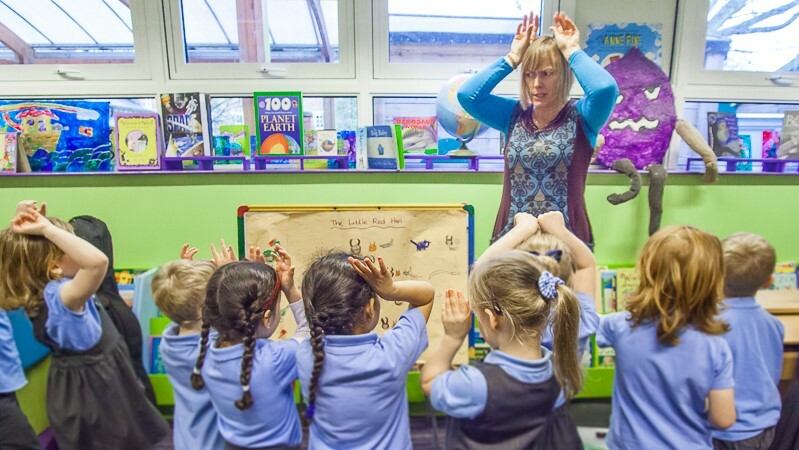 The innovative scheme uses stories, songs and games and the strong phonics focus builds children's confidence through highly interactive language learning. 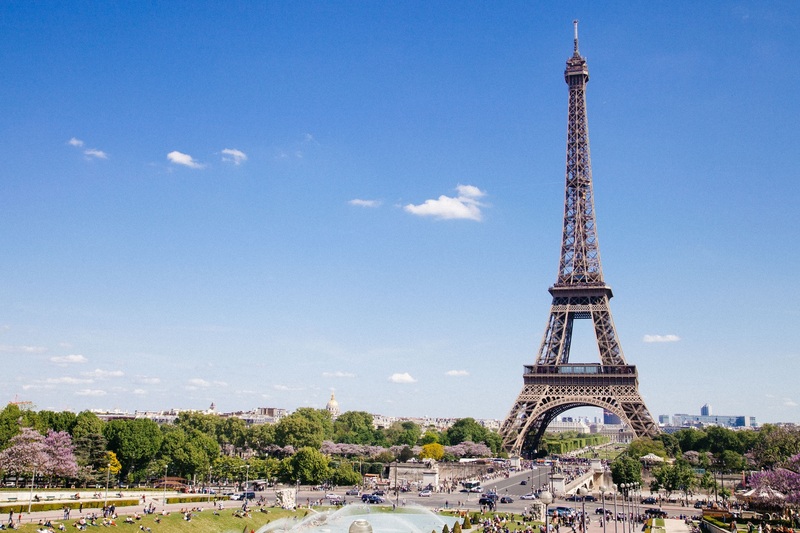 The TfW approach helps learners extend sentences in French and Spanish by effectively recognising and using high frequency verbs, opinion phrases, connectives and nouns. 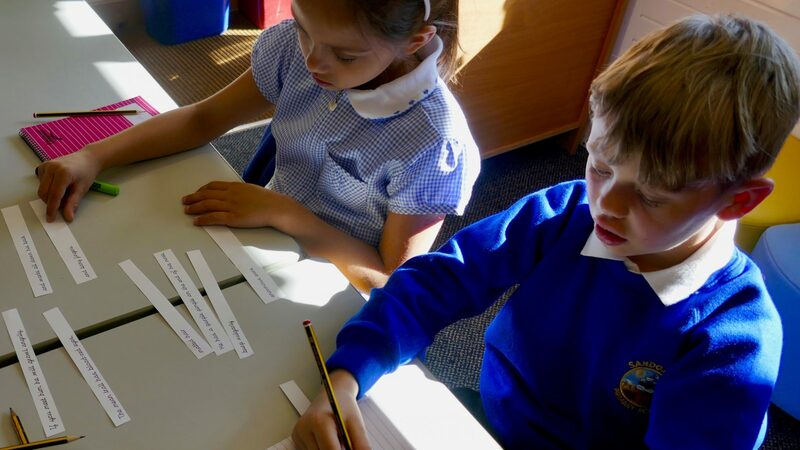 Rather than overload learners with long lists of nouns across a wide range of topics, this scheme focuses on understanding sentence structure and word function. 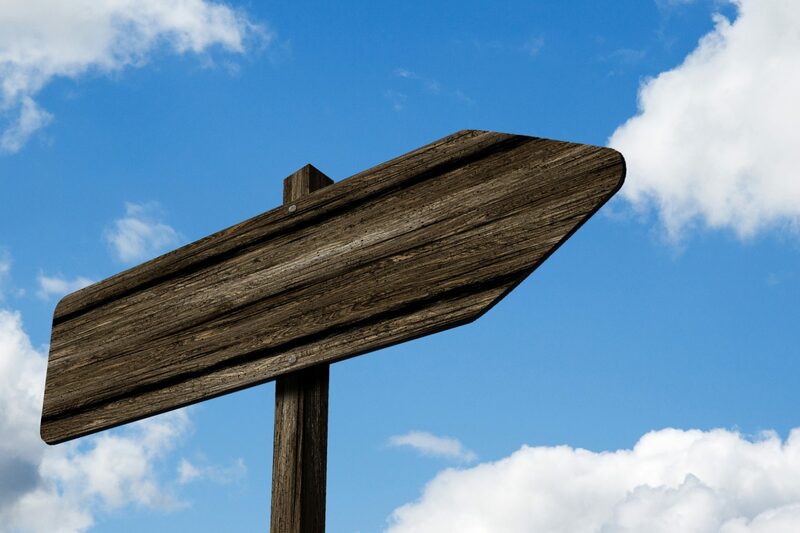 Pie Corbett examines the good and bad features of the new National Curriculum for English. 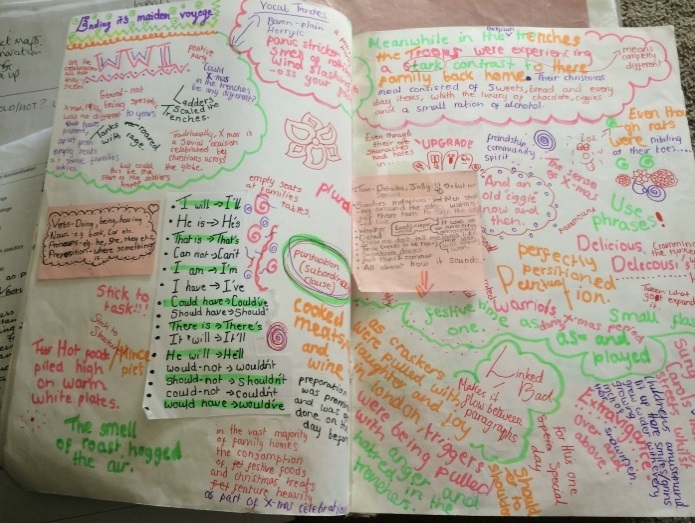 Talk for Writing has transformed Rachel Orr's primary school and you can read about her experiences on her blog. It includes tangible evidence not just in the impressive data but also through samples of writing from a child - and some attractive displays too. 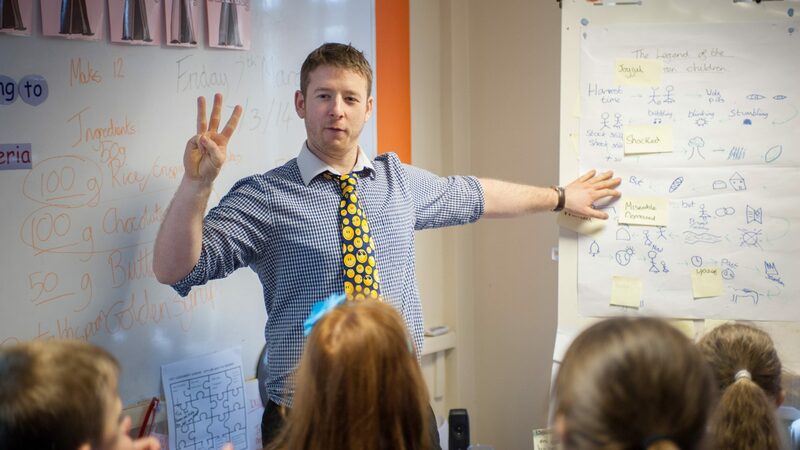 Zeb Friedman, Maths Adviser and AST maths teacher shares the application of Talk for Writing in maths teaching at Varndean School, Brighton and Hove. "This was comparing maths to written communication in a direct and explicit way. 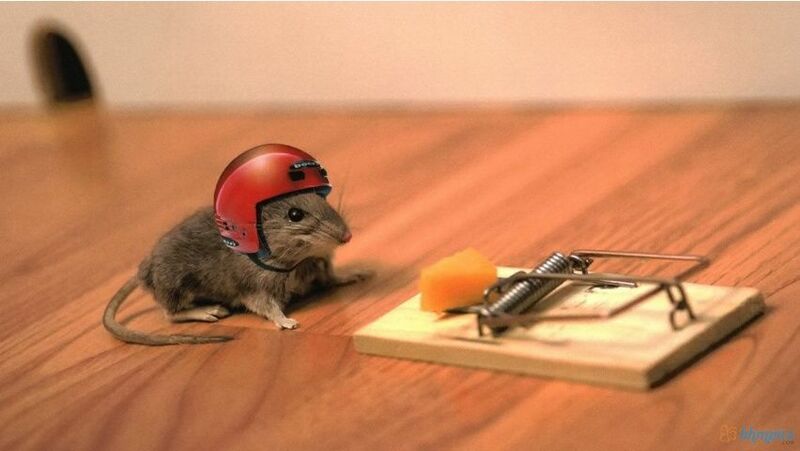 The strategy that makes so much sense to me is 'boxing up'. I started talking to my students about maths being a story, an essay. In English lessons they were taught to structure and plan essays, it was not enough to just string words together in a muddle. 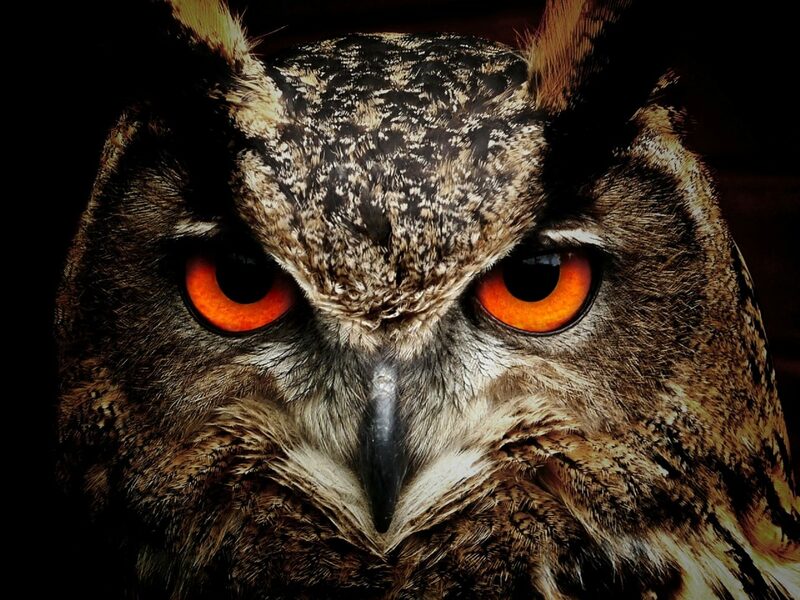 We talked about mathematical stories and what paragraphs looked like in maths." Katie Houghton, Foundation 2 teacher at Porter Croft School, Sheffield, reflects on how involving families in the Talk for Writing approach has transformed the school; "If you had said to me at the beginning of the project, You will be able to get four-year-old children to structure and invent stories, I would have laughed and said it was impossible. But they can. 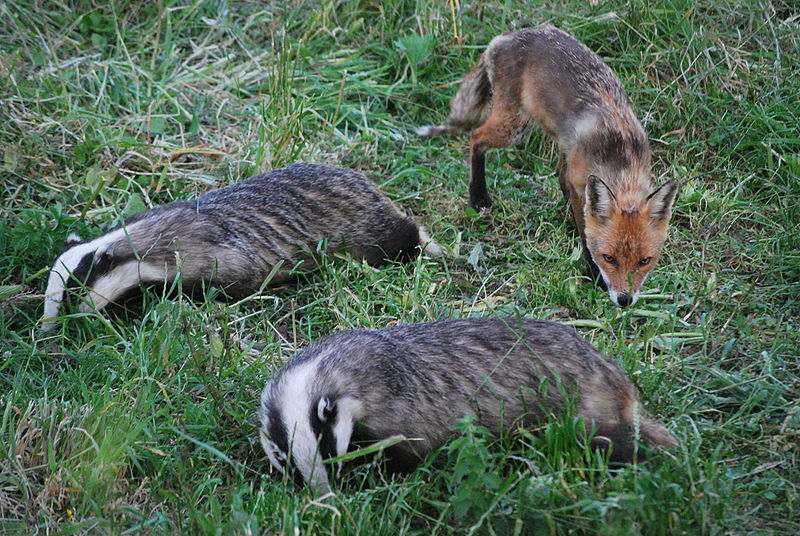 It's made me realise they are far more capable than I had given them credit for. 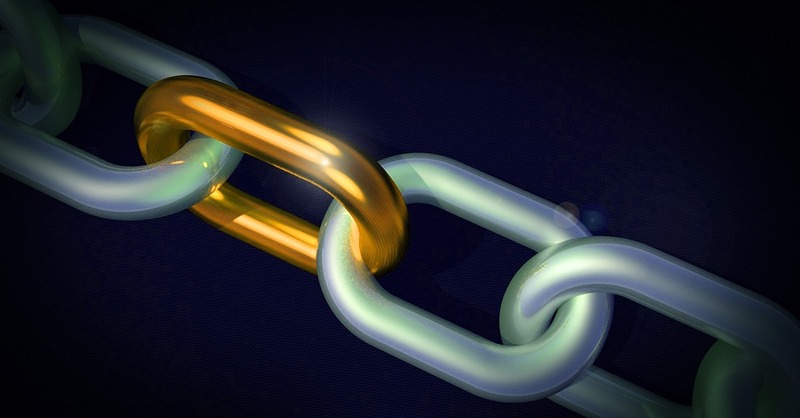 If you provide the right building blocks and structure, then they can."